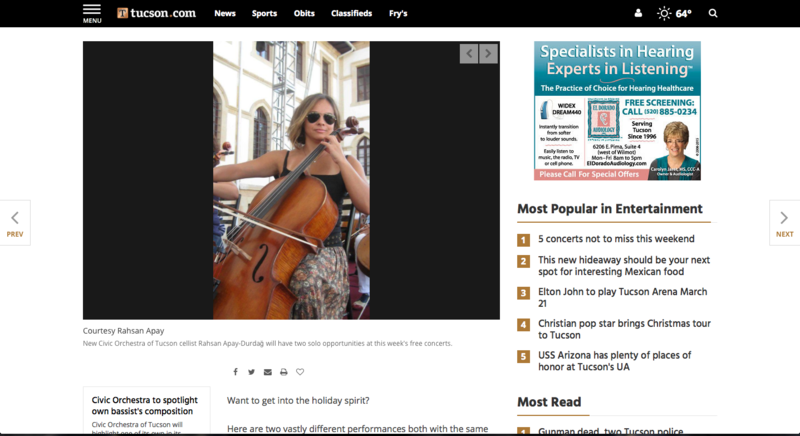 Grace St. Paul's Episcopal Church, Tucson, Arizona, USA. 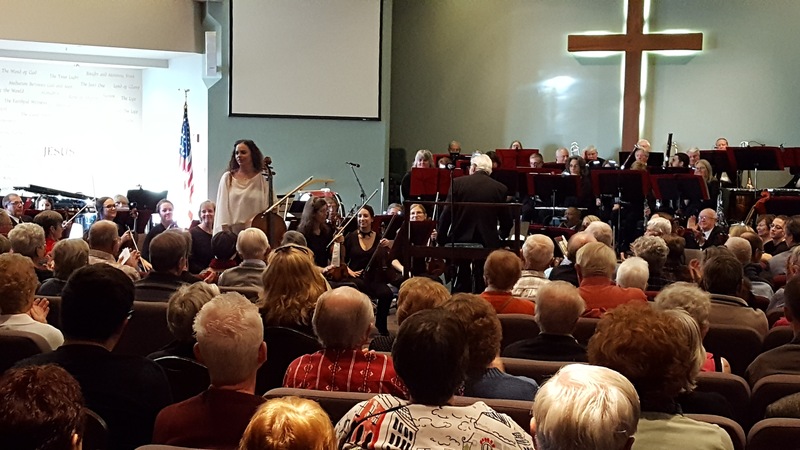 Tchaikovsky "Nocturne for Cello and Orchestra", Glazunov "Minstrel’s Song for Cello and Orchestra"
Vistoso Community Church, Oro Valley, Tucson, Arizona, USA. 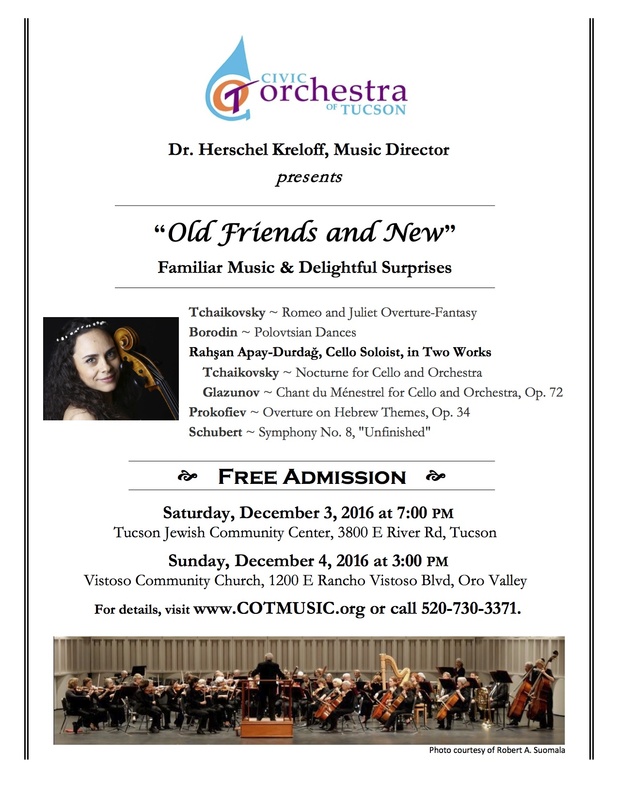 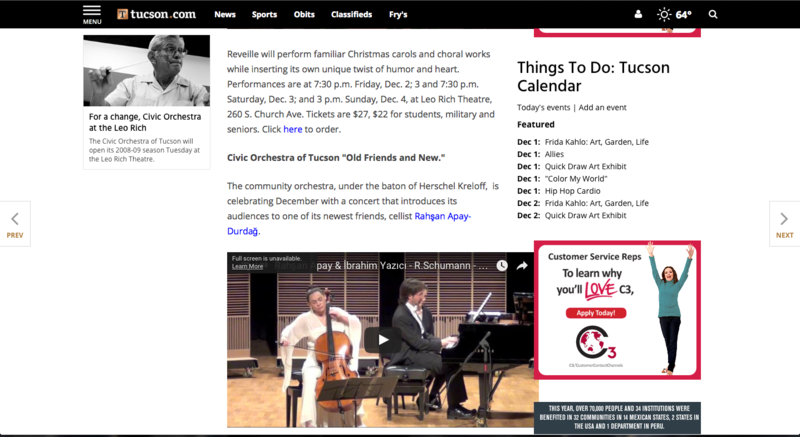 Jewish Community Center, Tucson, Arizona, USA. 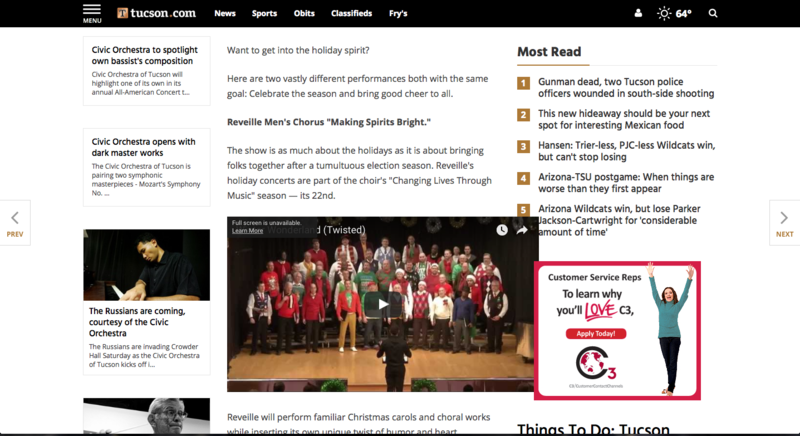 Arizona Senior Academy, Tucson, Arizona, USA. 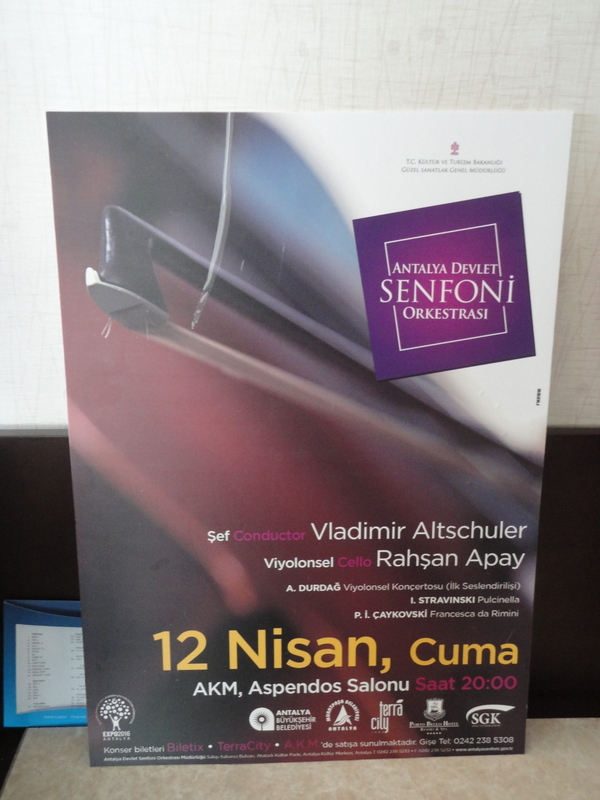 Kamran İnce "Abandoned", "The Crying Wall Cello Concerto", "Far Variations", "Songs With Other Words", "Two Step Passion"
Mendelssohn "Op.49", Mozart "Piano Quintet KV.478"
"KAMRAN İNCE: THE CRYING WALL CELLO CONCERTO (WORLD PREMIERE) & PETERIS VASKS: PRESENCE CELLO CONCERTO NO.2"
Ernest Bloch "3 Nocturnes", Debussy "Trio, Op.3"
Bach "Air", Saint Saens "The Swan", Rachmaninov "Vocalise", Astor Piazzolla "Le Grand Tango"
Mozart "Piano Concerto No.23, Adagio" (Adaptation:A.Durdağ), Carl Frühling "Op.40", Armağan Durdağ "Taylan", Beethoven "Op.11", Nino Rota "Trio For Clarinet, Cello and Piano"
Bach "Air", Saint Saens "The Swan", Faure "After A Dream", Granados "Orientale", Rachmaninov "Vocalise", Popper "Hungarian Rhapsody, Op.68", Arvo Part "Fratres", Armağan Durdağ "Katibim Variations", Astor Piazzolla "Le Grand Tango"
"SHORT PIECES FOR NIGHT MUSIC"
K.P.Stamitz "Quartet for Oboe, Violin, Viola ve Cello", Britten "Phantasy Quartet"
Özkan Manav "Laçin", Rachmaninov "Elègie", Dvorak "Dumky, Op.90"
Max Bruch "Eight Pieces for Clarinet, Celo and Piano, Op.83", Armağan Durdağ "Taylan", Mozart "Piano Concerto No.23, Adagio" (Adaptation:A.Durdağ), Nino Rota "Trio for Clarinet, Cello and Piano"
"RAIN SULTANOV JAZZ CONCERT - VOICE OF KARABAKH"
Max Bruch "Eight Pieces for Clarinet, Cello and Piano, Op.83", Nino Rota "Trio for Clarinet, Cello and Piano", Mozart "Piano Concerto No.23, Adagio" (Adaptation:A.Durdağ), Brahms " Trio for Clarinet, Cello and Piano, Op.114"
"CRR SOLOISTS & CANA GÜRMEN"
Dvorak "Piano Quintet No.2, Op.81"
Max Bruch "Eight Pieces for Clarinet, Cello and Piano, Op.83", Armağan Durdağ "Taylan", Mozart "Piano Concerto No.23, Adagio" (Adaptation:A.Durdağ), Brahms "Trio for Clarinet, Cello and Piano, Op.114"
"Armağan Durdağ: Taylan (World Premiere)"
Brahms "Trio for Clarinet, Cello and Piano, Op.114"
"MODİRİ ENSEMBLE FOR VOICE AND STRING SEXTET"
"ARMAĞAN DURDAĞ: "ROXANA" CELLO CONCERTO"
"BURSA BRAHMS PROJECT - IV"
Dvorak "American Quartet, Op.96, No.12"
Haydn "Gypsy", Rachmaninov "Elègie", Shostakovich "Op.67 No.2"
İlke Karcılıoğlu "Yitirilen Zamanın Aranışı", Kamran İnce "Curve", Mesruh Savaş "Nocturne & Toccata"
Cesar Franck "Sonata for Cello and Piano", Armağan Durdağ "Katibim Variations", Stèphane Blet "Ottoman Fantasy"
"BURSA BRAHMS PROJECT - II"
Brahms "Piano Quartets No.1 & 2"
"BURSA BRAHMS PROJECT - I"
Brahms "Trio for Violin, Viola and Cello", "String Sextet"
"TRİO ORFE & POET ADNAN YİĞİT"
Kamran İnce "Music For A Lost Earth"
"RECEPTION FOR THE CELEBRATION OF TURKISH REPUBLIC"
"CRR SOLOISTS & GÜLSİN ONAY"
Schumann "Piano Quintet in Eb Major"
"SHORT PIECES FOR NIGHT MUSIC - SEXTET CONCERT"
"Armağan Durdağ: The Land of the Ignorant (World Premiere)"
"WORLD WOMEN'S DAY - WOMEN COMPOSERS"
"DANCE OF BATON AND BOW"
"NECİP CELAL ANDEL: CELLO CONCERTO"
"JOSEPH HAYDN: CELLO CONCERTO, NO.1"
"NECİP CELAL ANDEL: CELLO CONCERTO (WORLD PREMIERE)"
"ANTONİO VİVALDİ: CELLO CONCERTO, IN E MINOR"
"AHMED ADNAN SAYGUN: CELLO CONCERTO, OP.74"
Haydn, Beethoven, Schumann "Fantasie Stückt", Dvorak, Debussy "Sonata", Tchaikovsky "Pezzo Cappricciozo"
Corelli "Sonata", Schumann "Adagio and Allegro", Dvorak, Grieg "Sonata"
Having a wide repertoire from Baroque to contemporary music, Turkish-born cellist Rahşan Apay-Durdağ has been actively performing as a recital and orchestral soloist, as well as a chamber musician, throughout the world for thirty years. 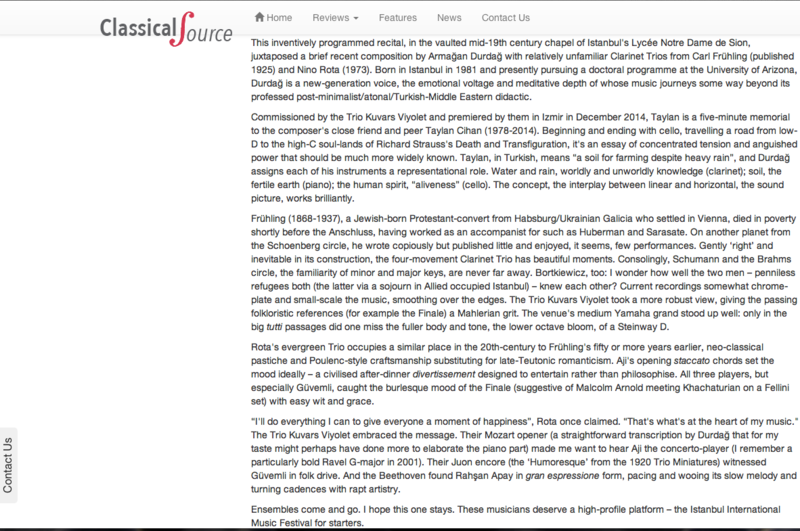 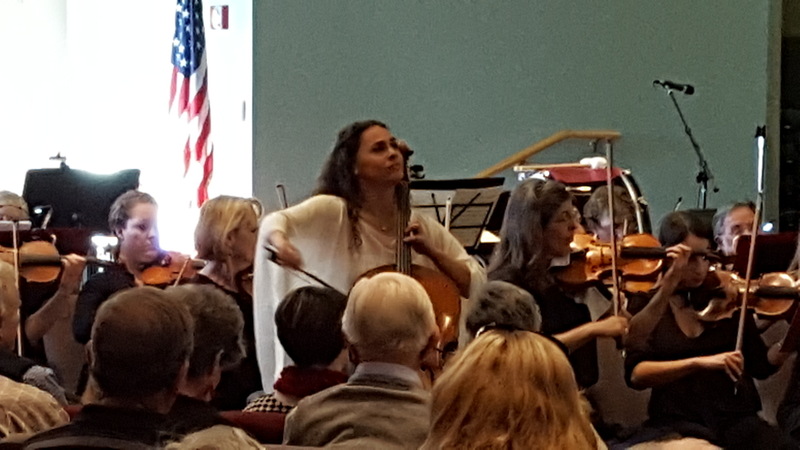 Among many other concertos from the standard repertoire, she has a special interest in world-premiering works by contemporary composers. 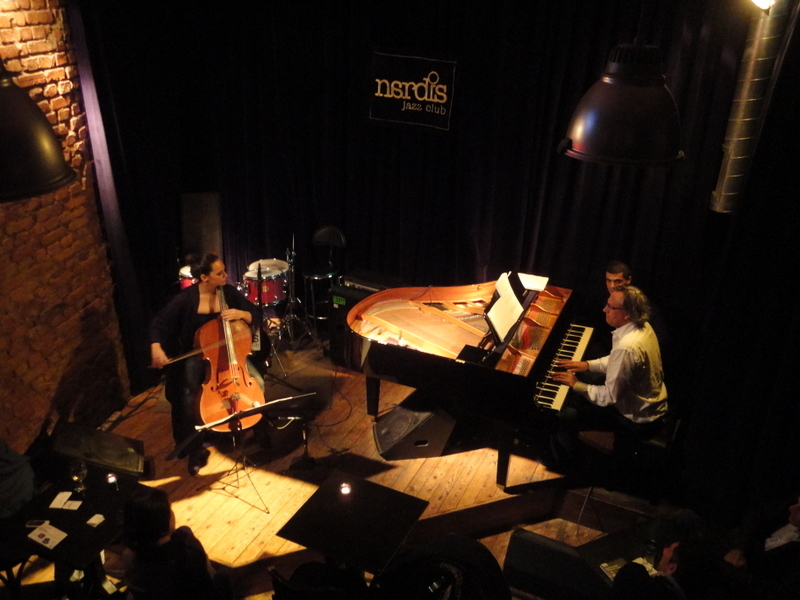 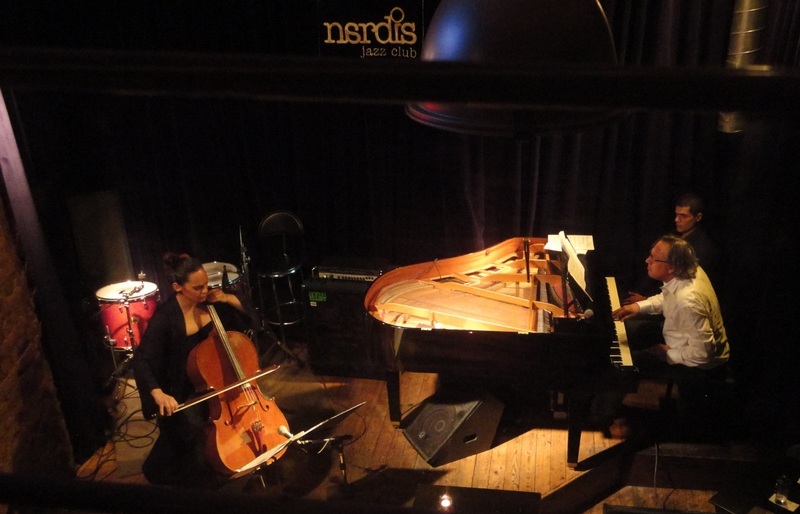 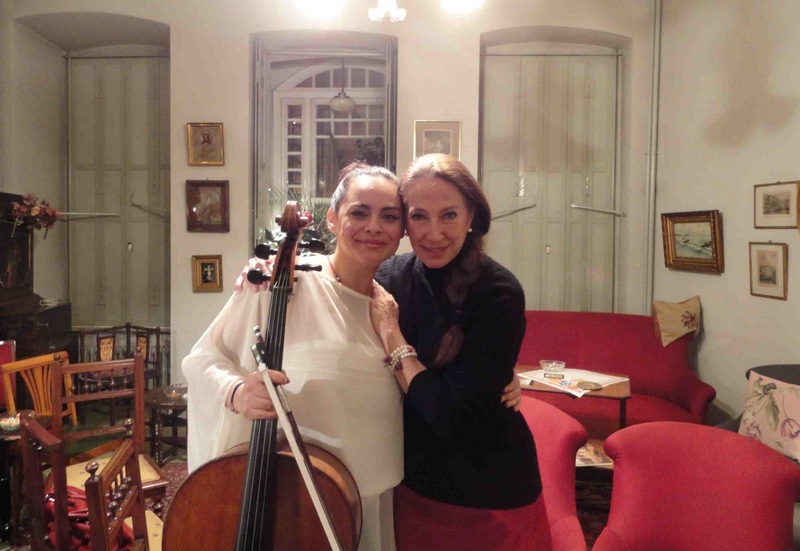 Within the past years, she has had the privilege of premiering, performing and recording music of many living composers, most of whom were Turkish. 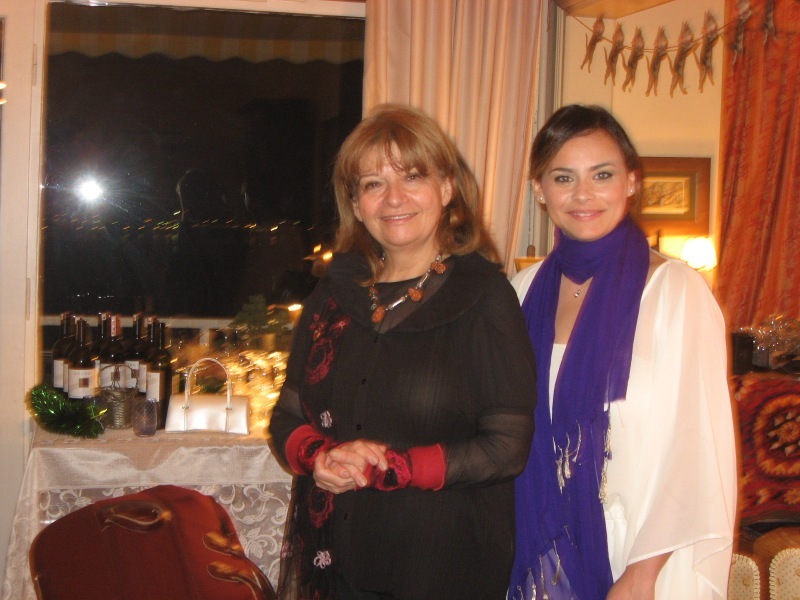 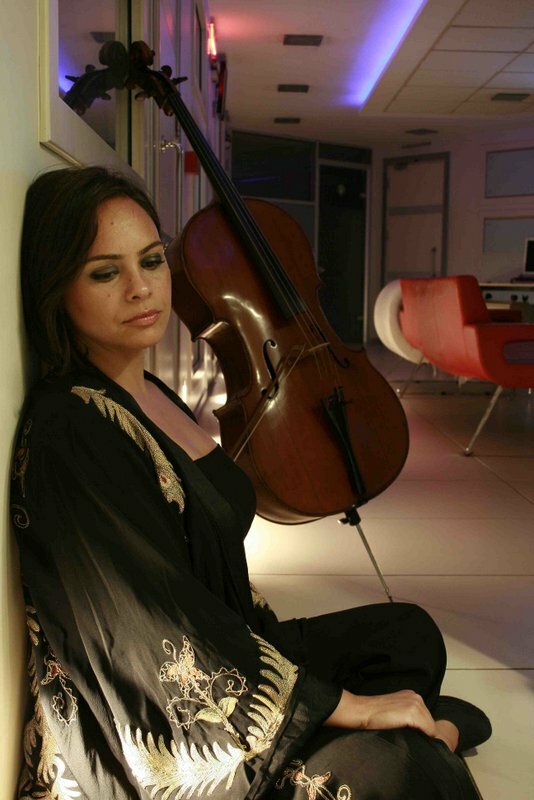 She has hosted various classical music programs on the National Radio of Turkey (TRT) and has been interviewed as a guest artist in TRT, Açık Radio and Borusan Klasik Radio. 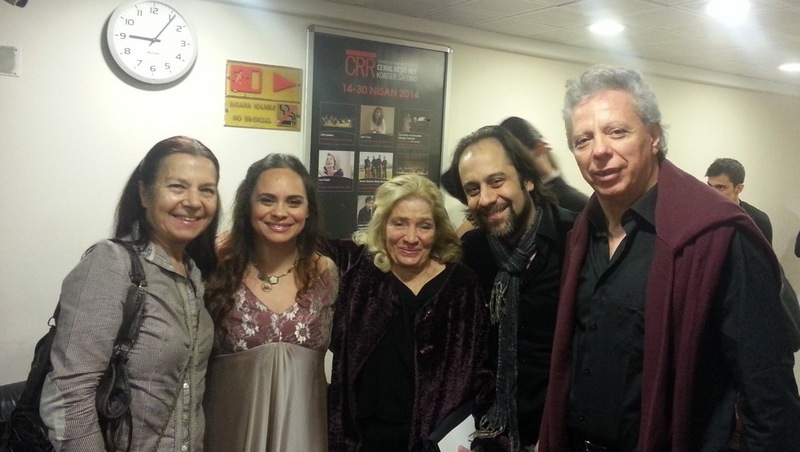 She also recorded with TRT Jazz Orchestra. 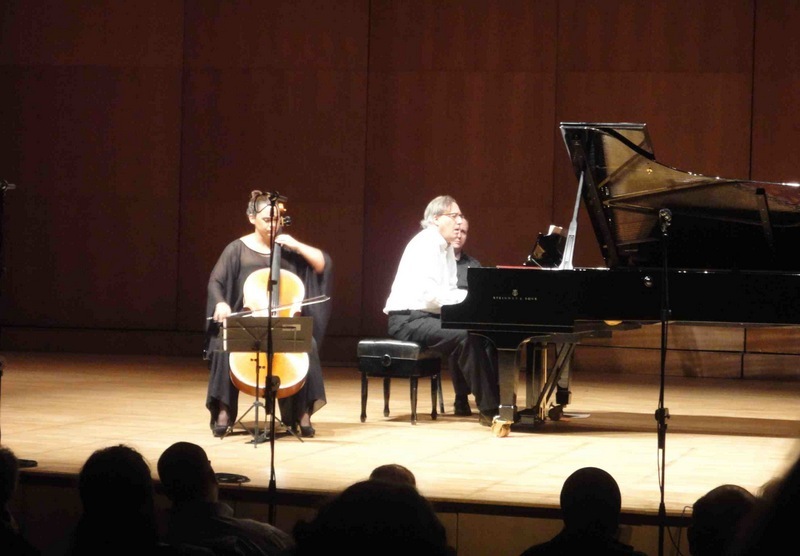 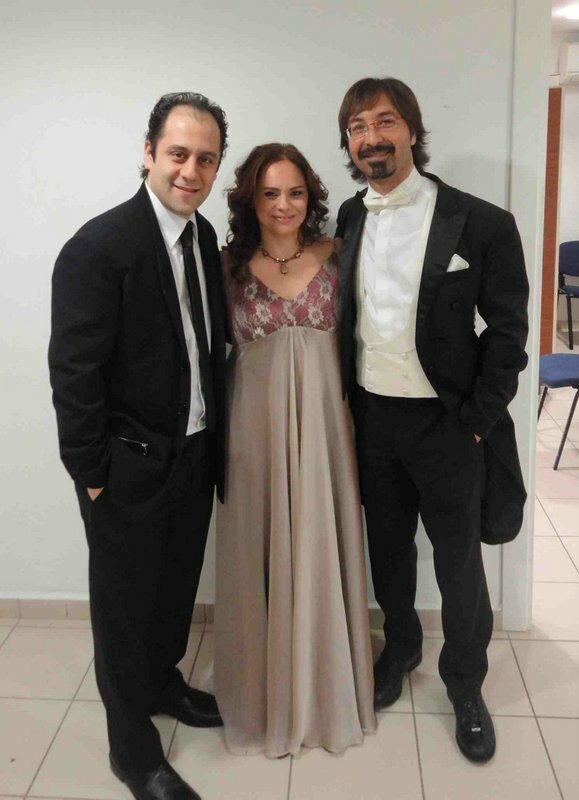 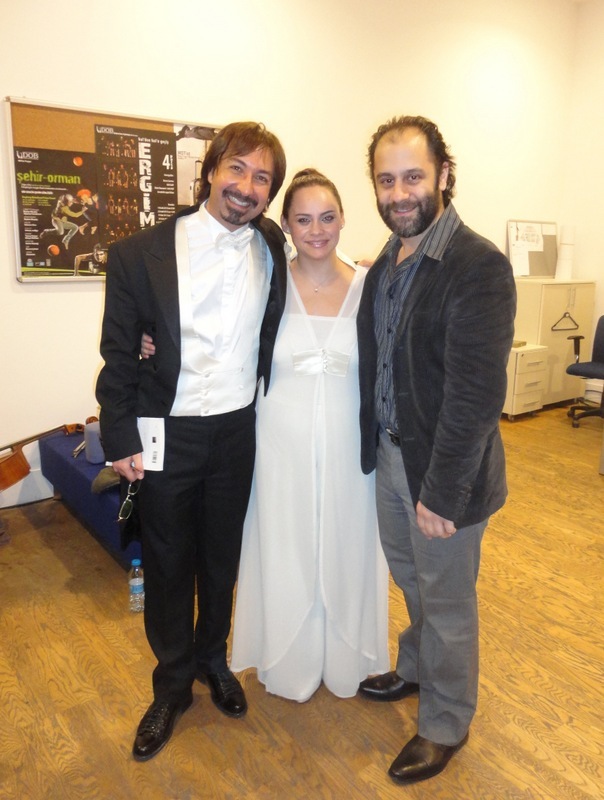 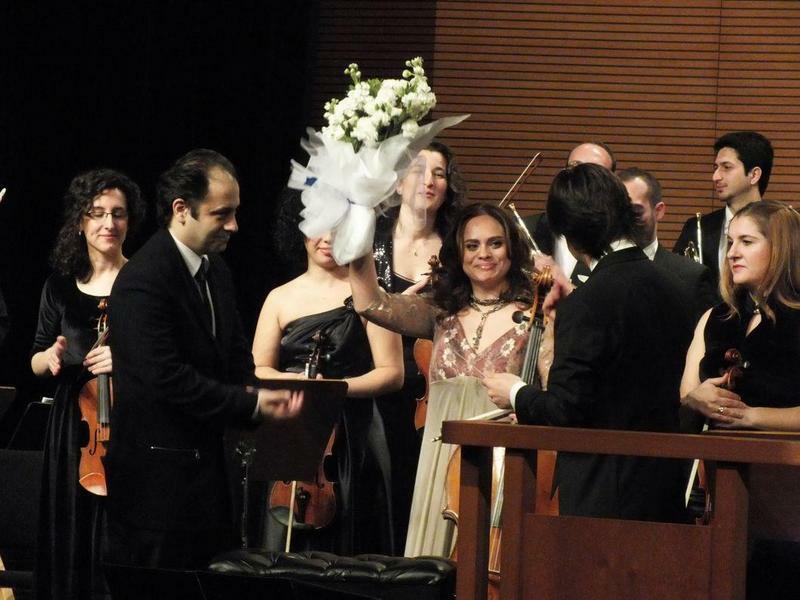 She performed Turkish composer Ahmed Adnan Saygun’s Cello Concerto and Solo Partita with the Istanbul State Opera and Ballet Orchestra conducted by Selman Ada in tribute to the composer's 100th Birth Anniversary at Megaron Concert Hall in Athens, Greece, as well as at Ataturk Cultural Center in Istanbul, Turkey. 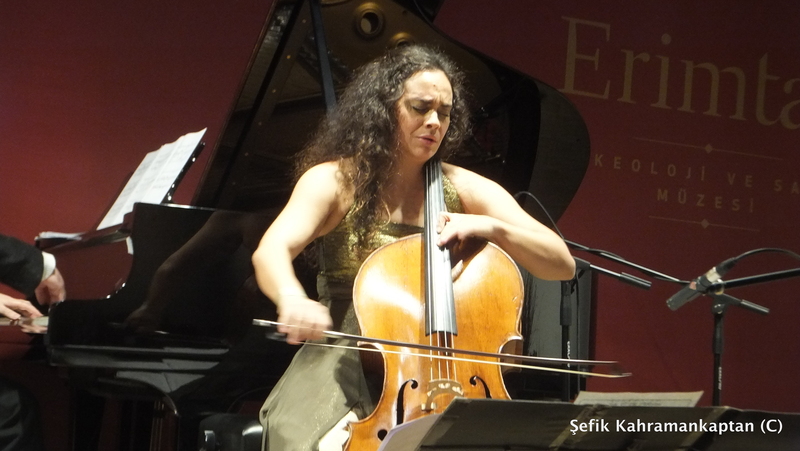 She made a CD recording and also performed a world premiere of Cello Concerto of Necip Celal Andel, Turkish tango composer. 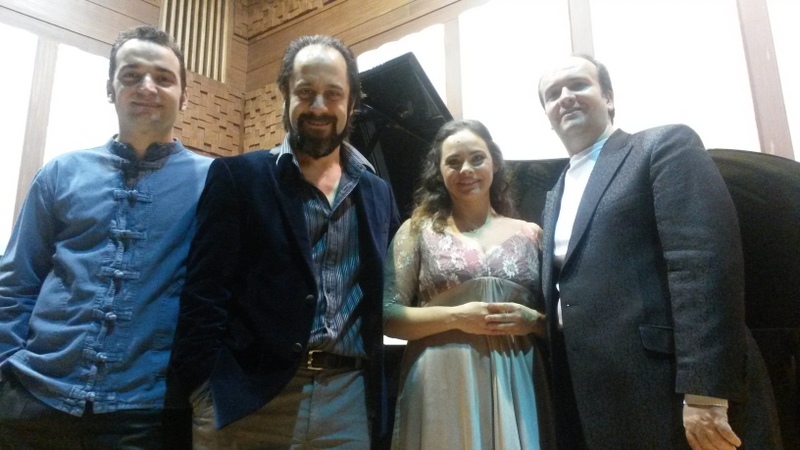 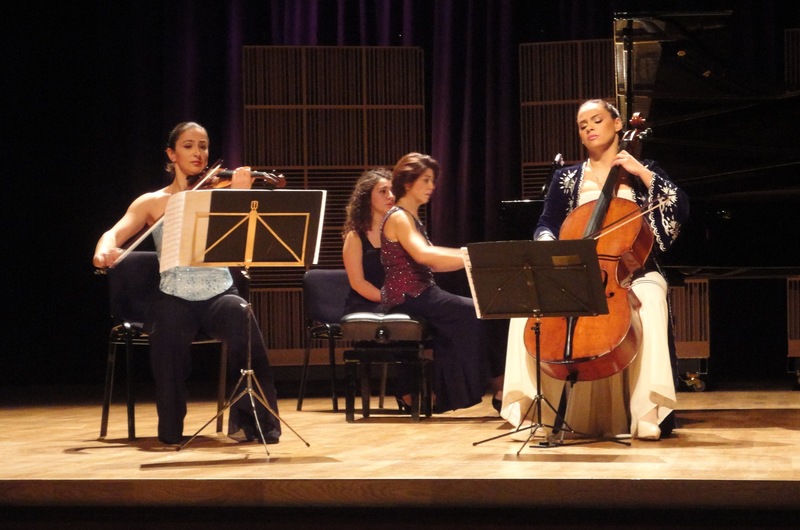 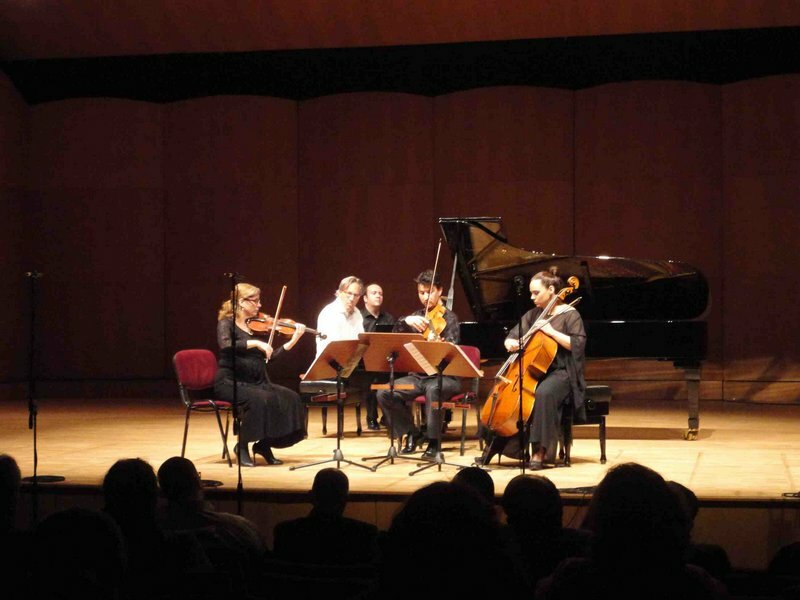 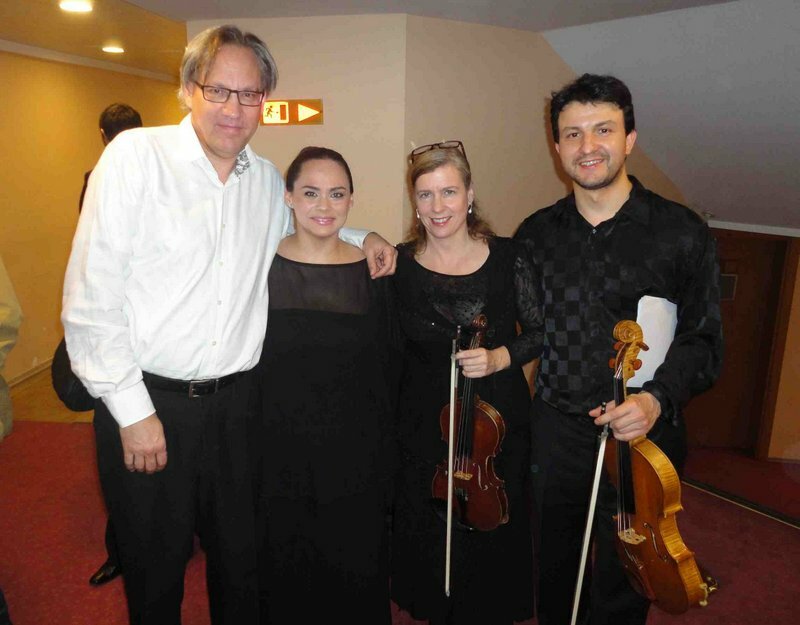 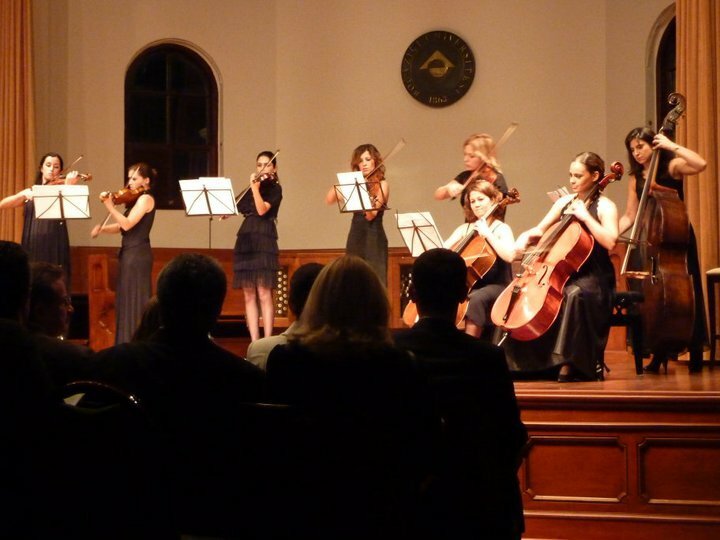 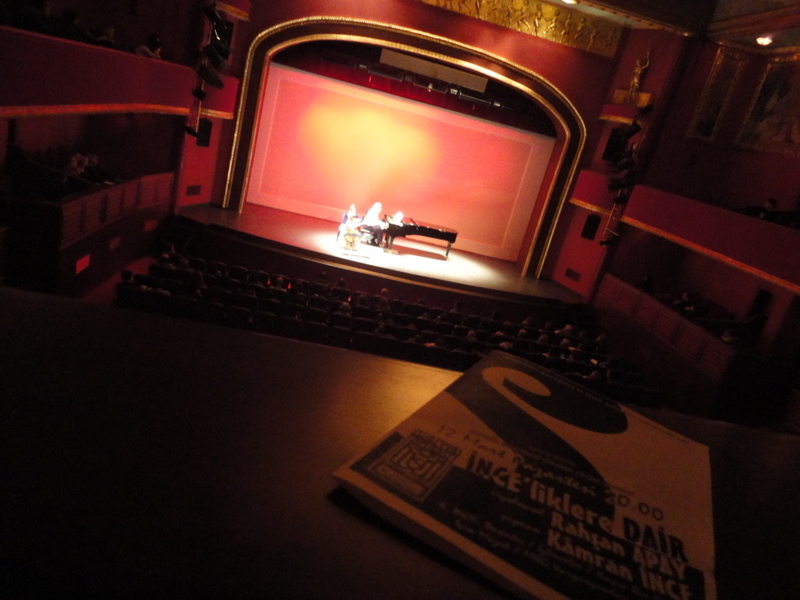 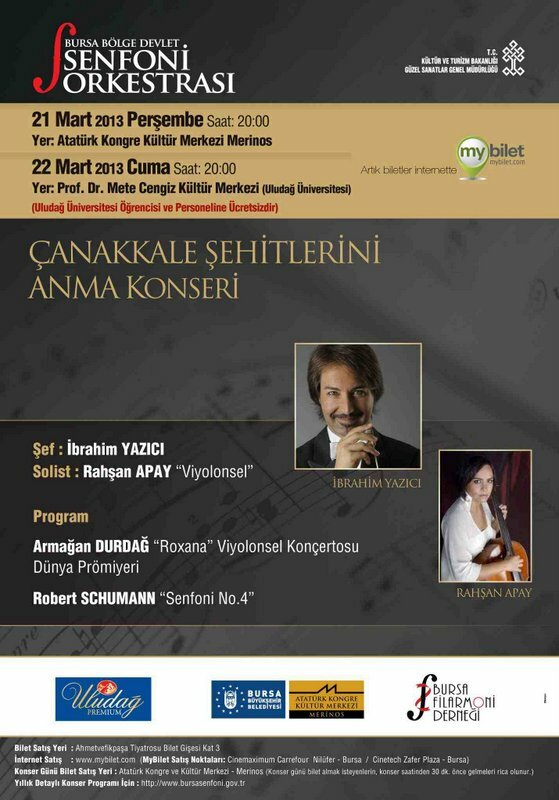 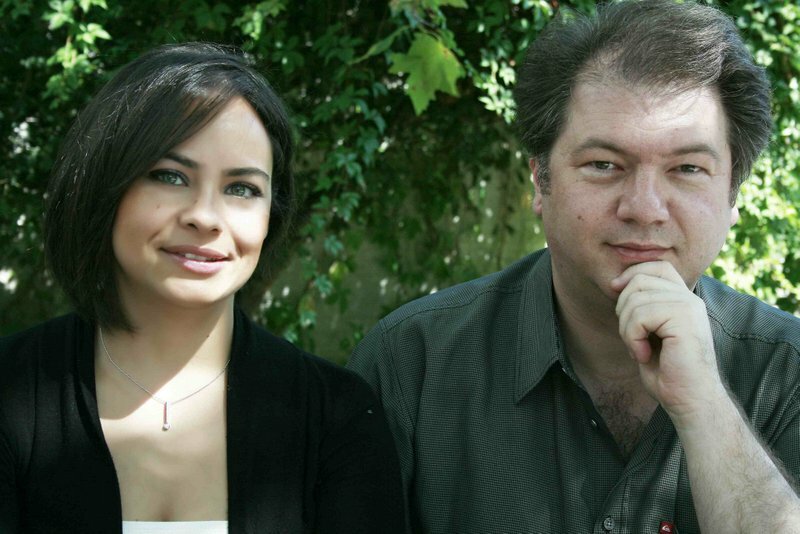 She made a series of concerts in Istanbul with Kamran Ince, a Rome Prize winner Turkish/American composer and they have performed Ince's compositions which were especially rearranged by the composer for these concerts. 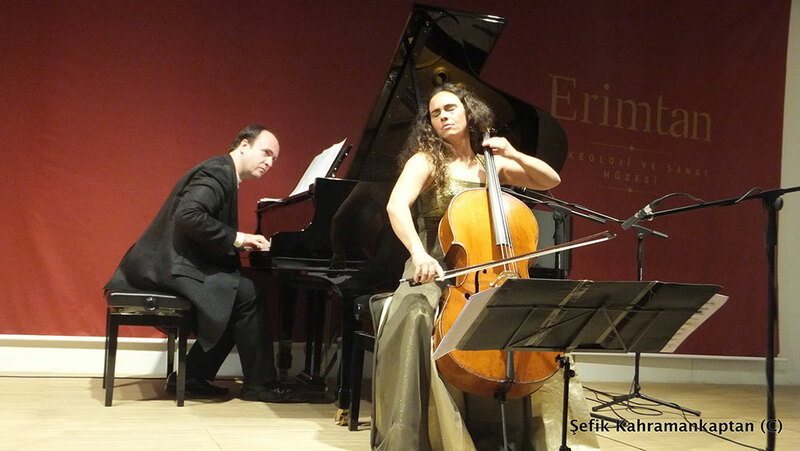 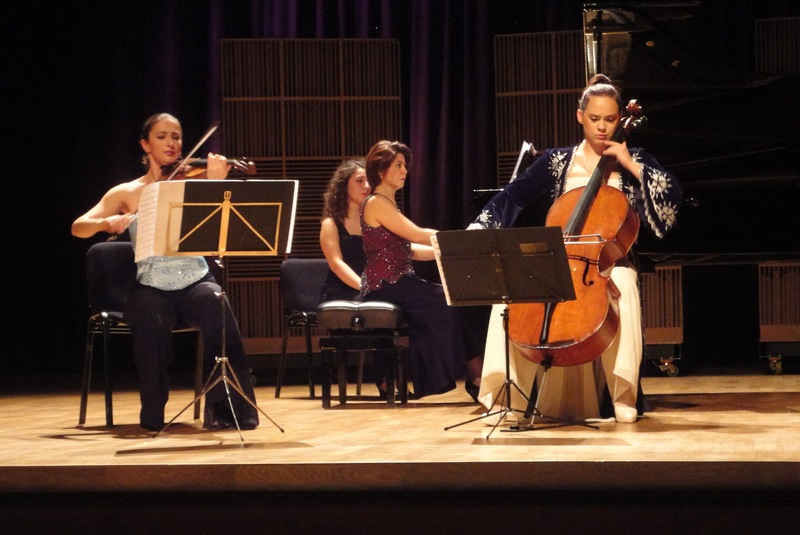 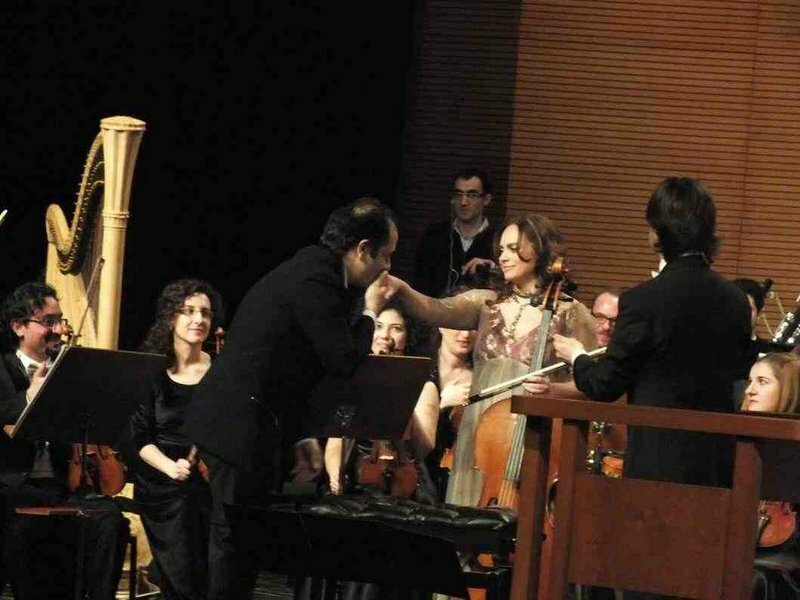 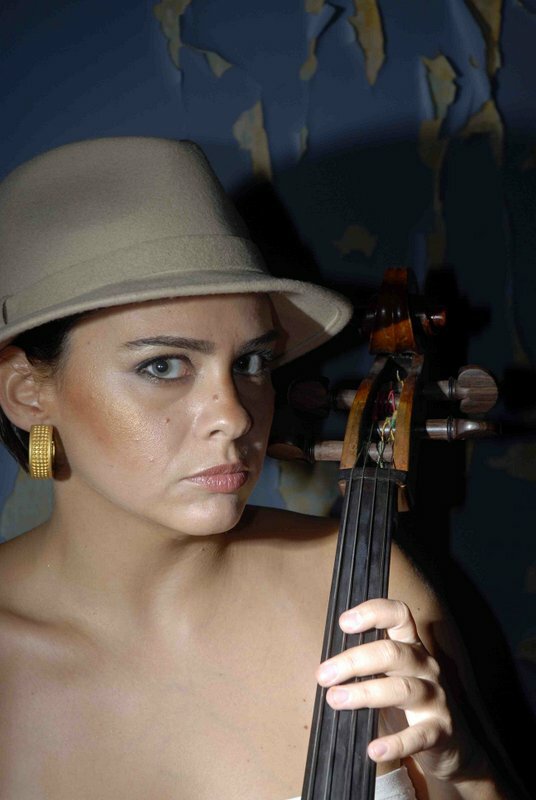 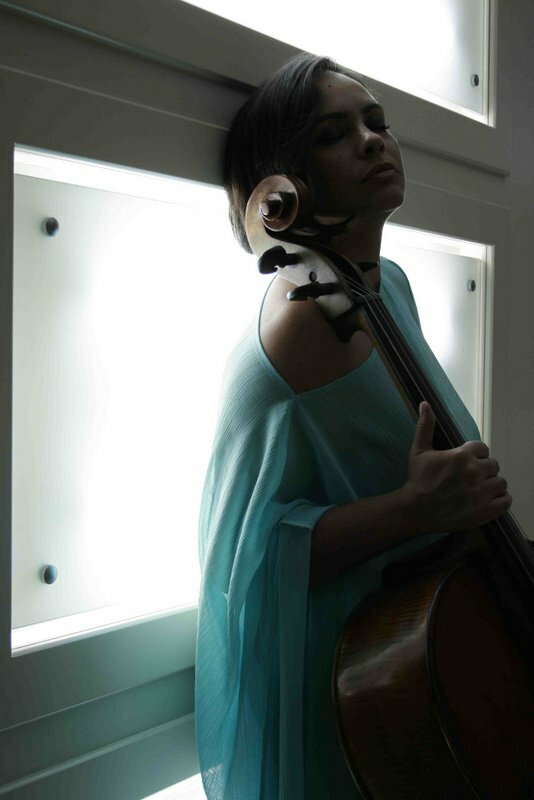 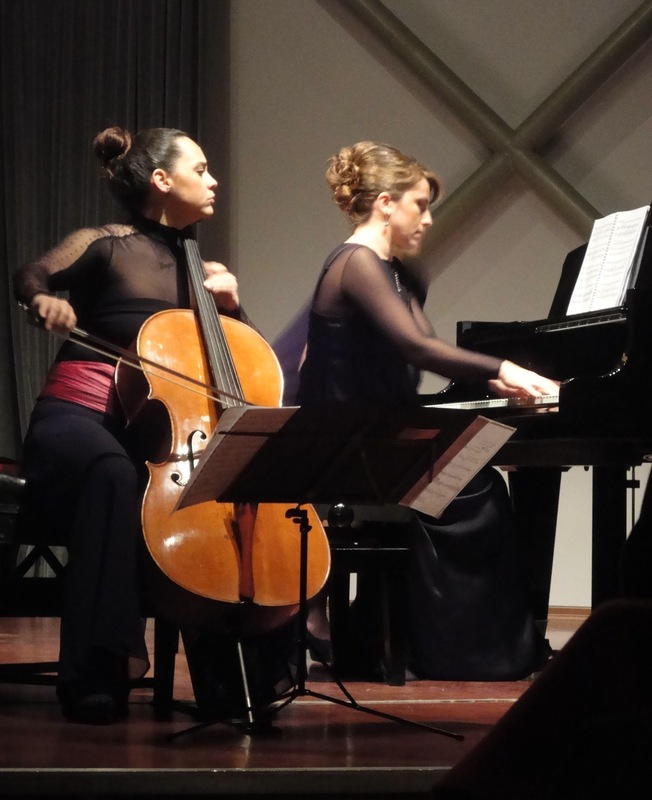 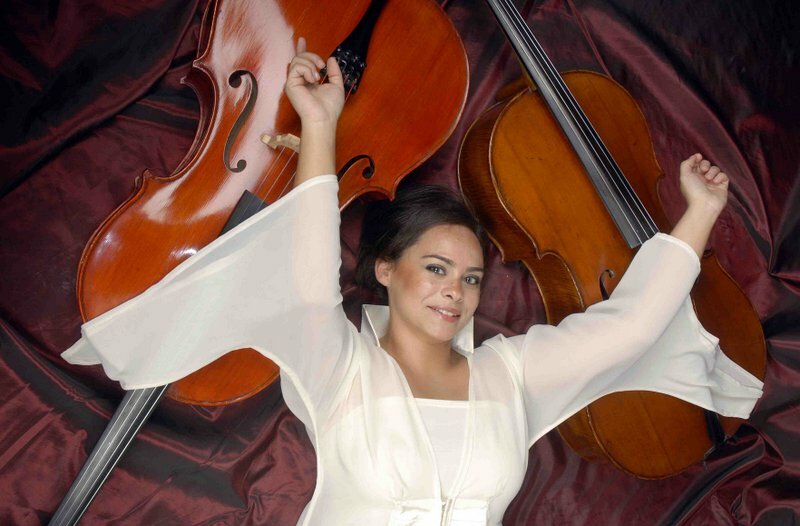 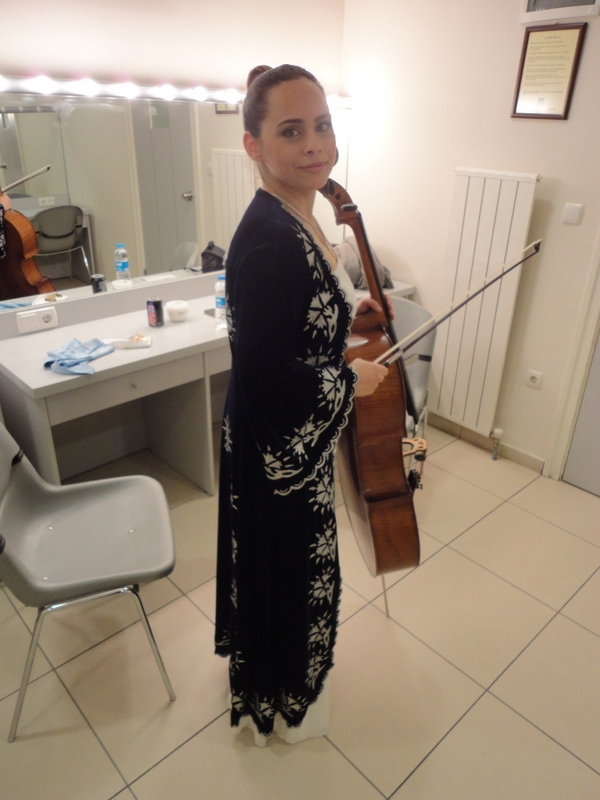 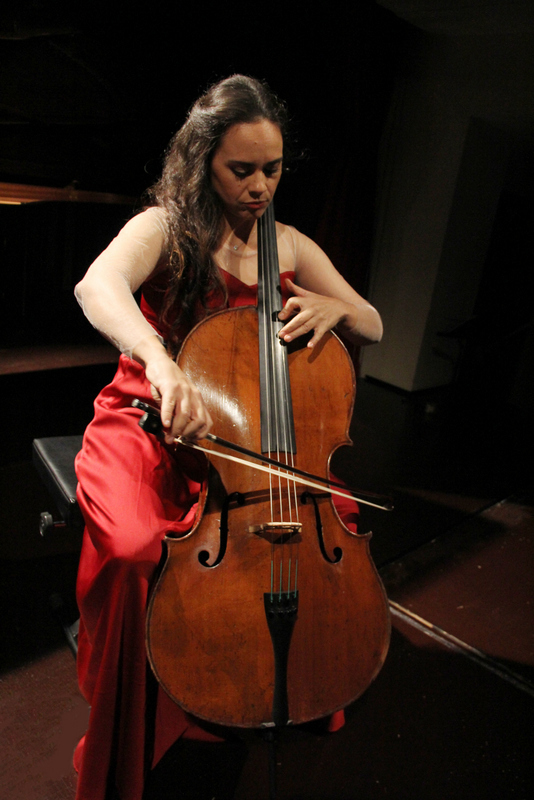 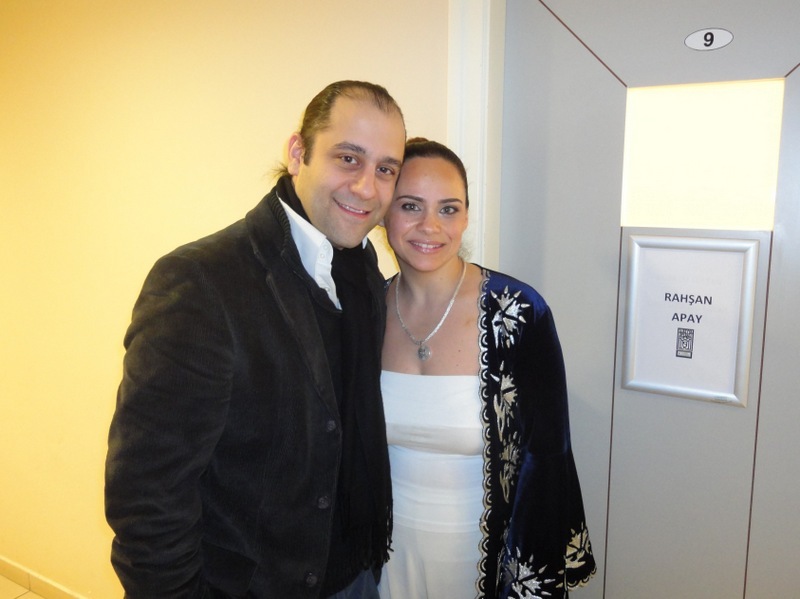 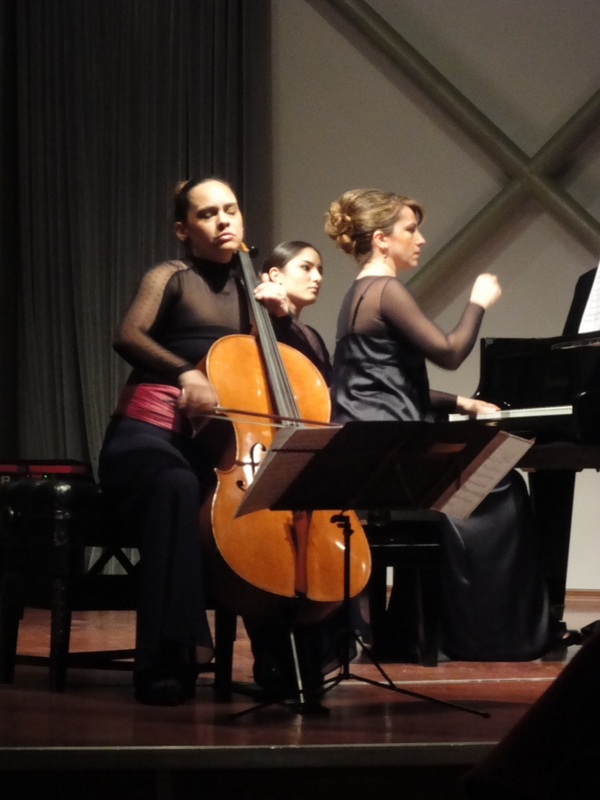 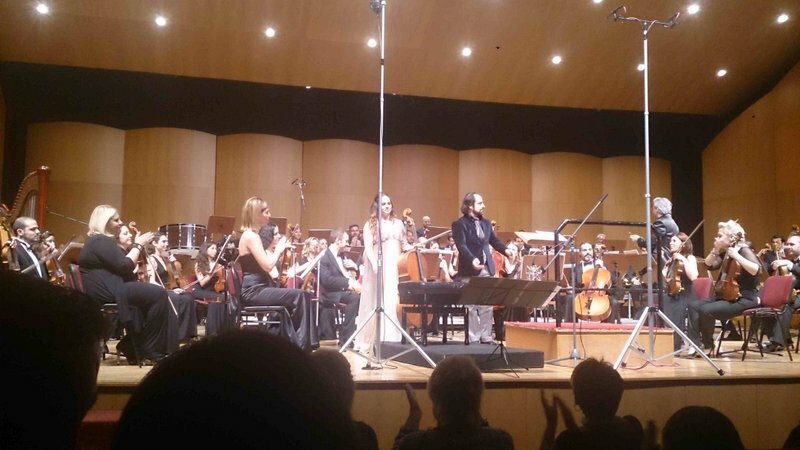 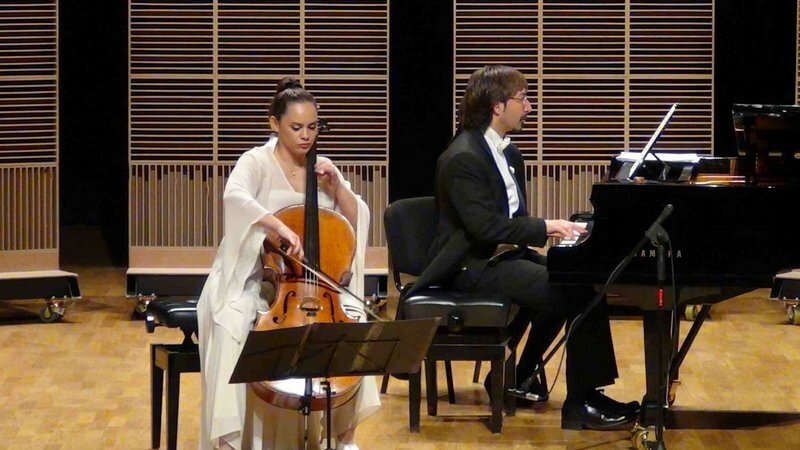 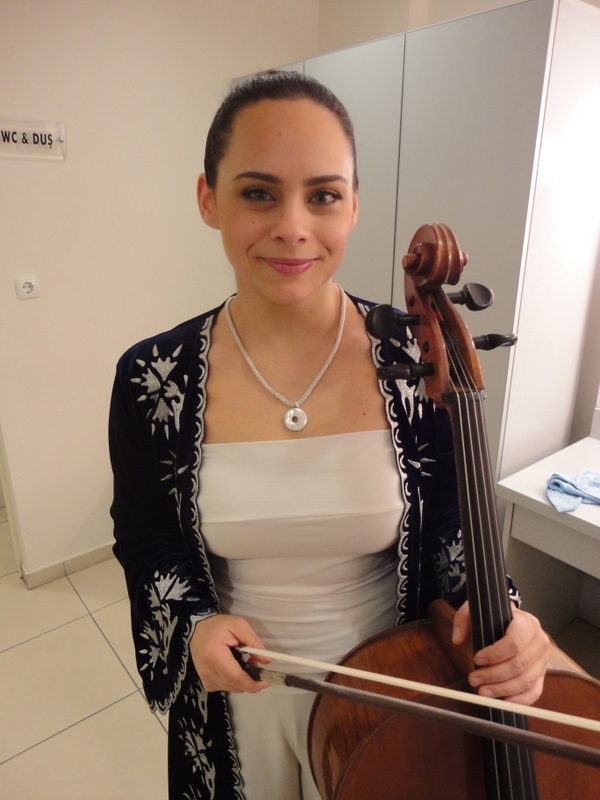 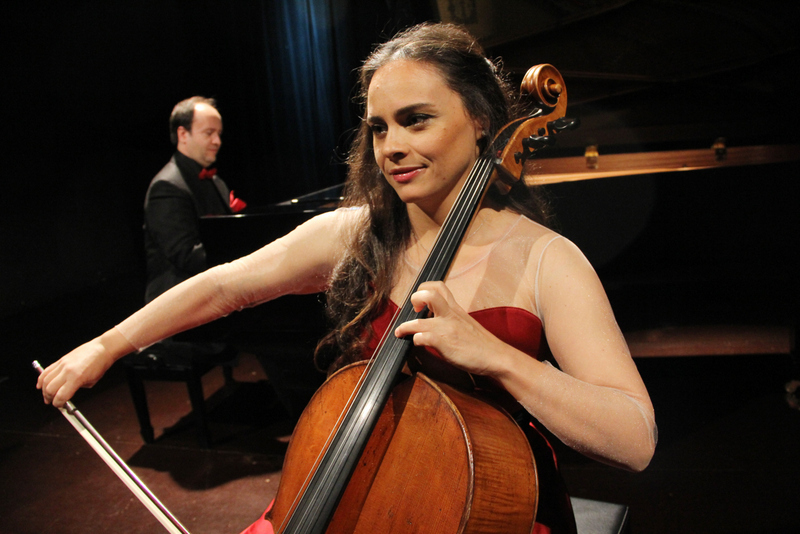 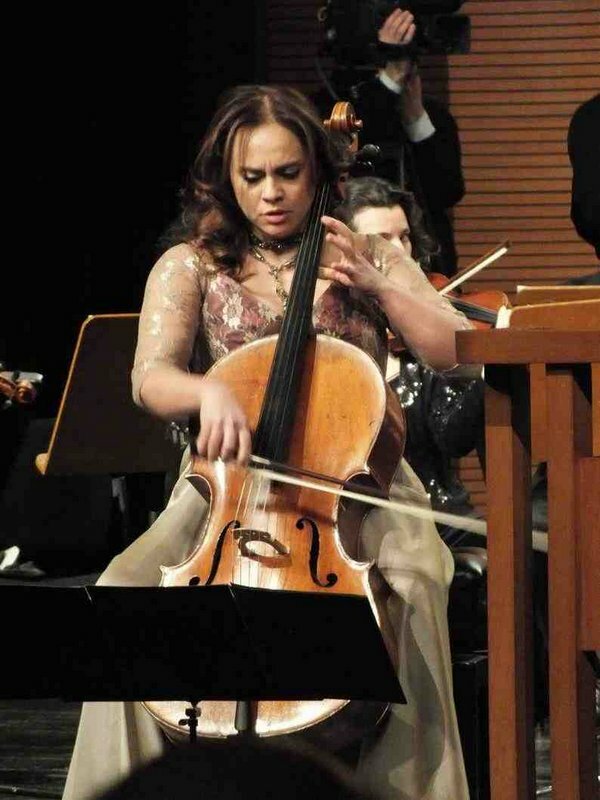 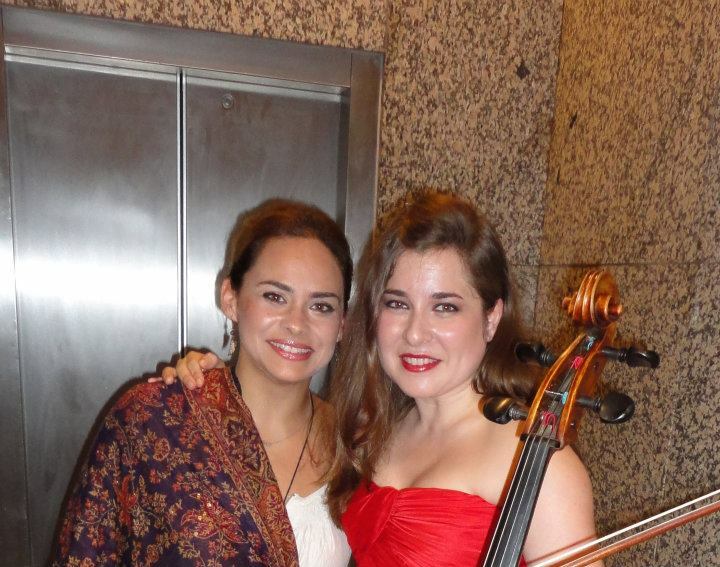 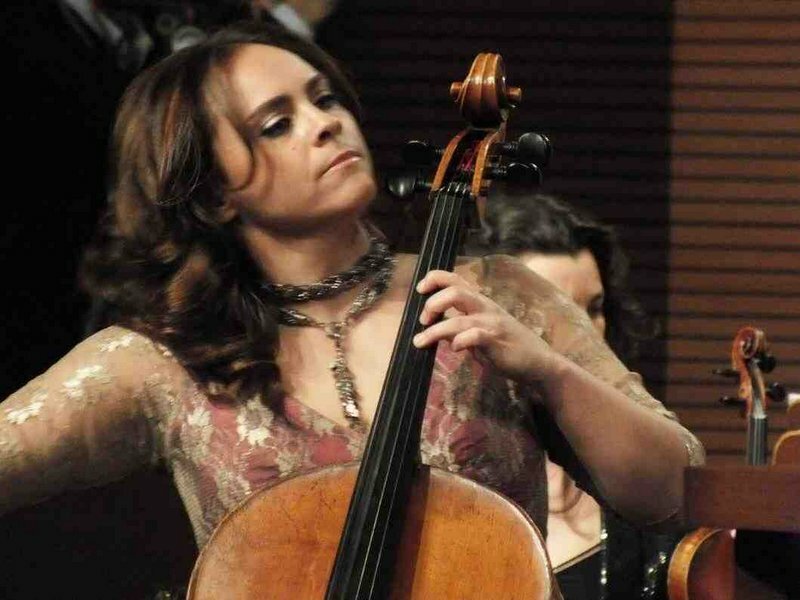 She made the world premiere of the "Roxana" Cello Concerto of Turkish composer Armağan Durdağ, dedicated to herself. 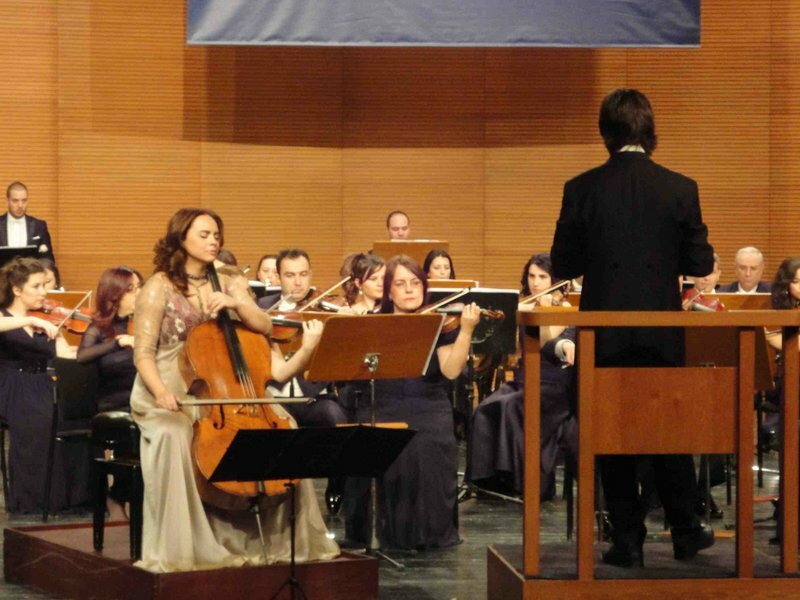 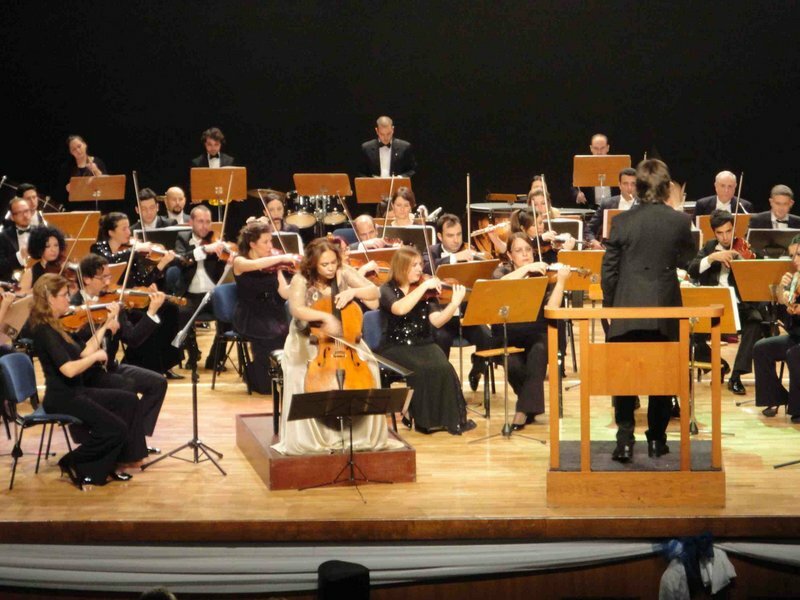 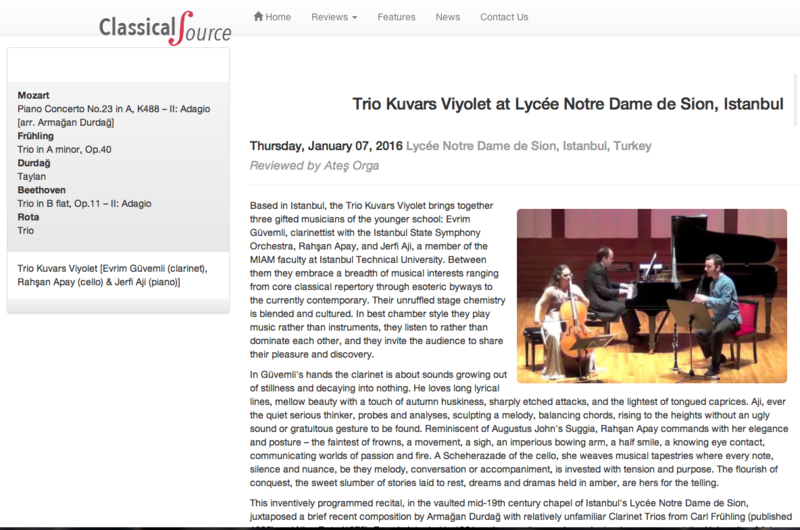 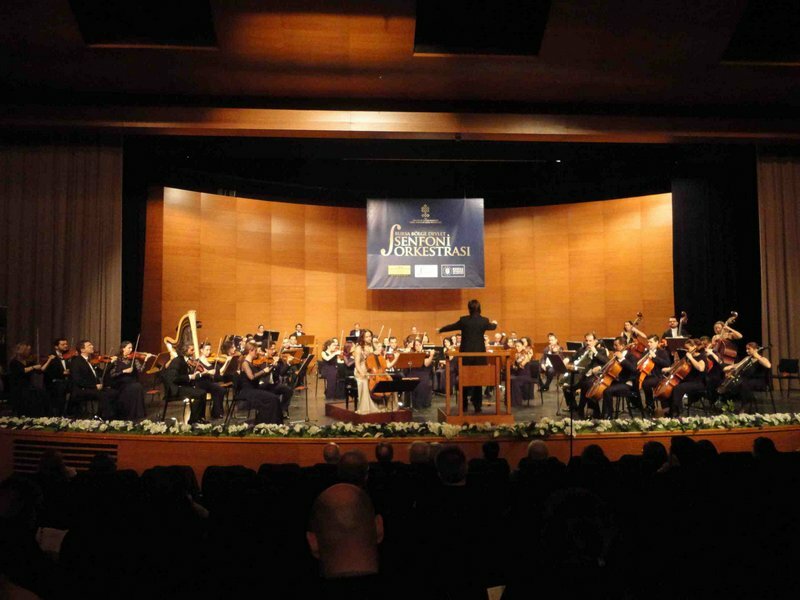 She world-premiered this concerto with Bursa Region State Symphony, and performed it with the Antalya State Symphony and the Cemal Reşit Rey Symphony orchestras while being broadcasted nationwide on television. 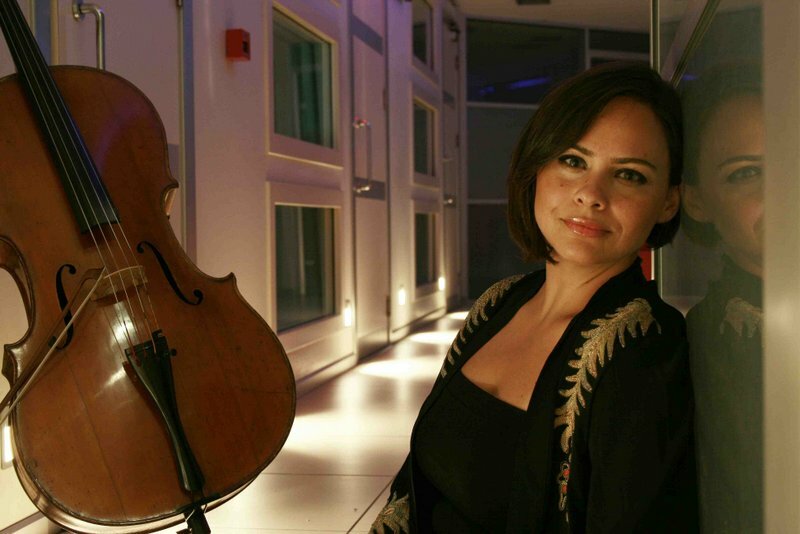 With the Hacettepe Symphony Orchestra, she made the world premiere of Kamran Ince's "The Crying Wall" Cello Concerto and also performed Latvian composer Peteris Vasks' Cello Concerto No.2 "Presence" within the same concert at the 33rd International Ankara Music Festival in April 2016. 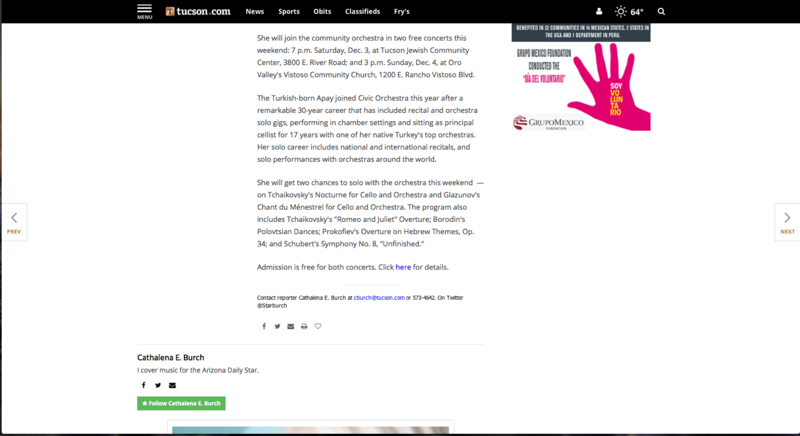 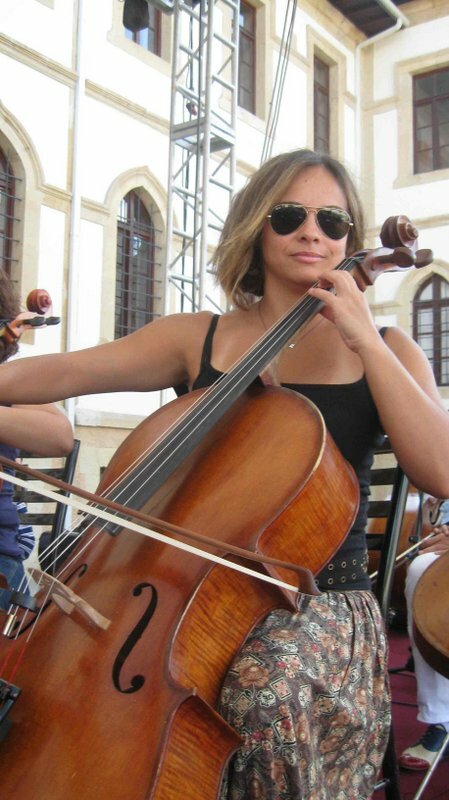 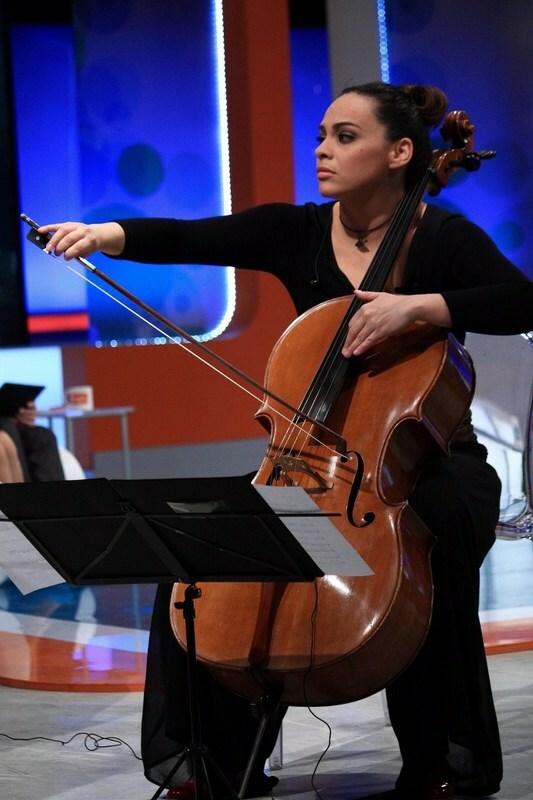 Rahşan Apay-Durdağ began playing cello at the age of 11 as a full-time music student at middle school level of Mimar Sinan University State Conservatory in Istanbul, Turkey, under the instruction of renowned cello professor Reşit Erzin. 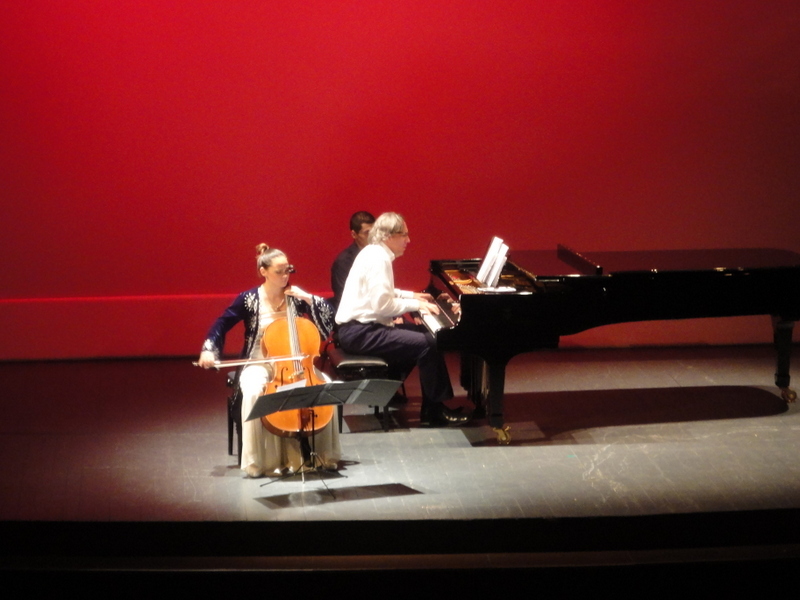 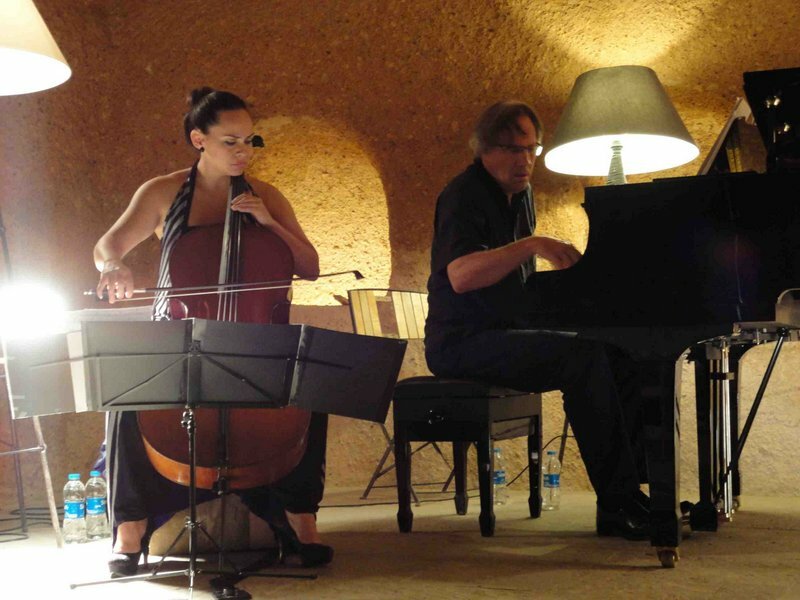 She continued her education at the Conservatory with him until she earned her Bachelor's and Master’s degrees in cello performance. 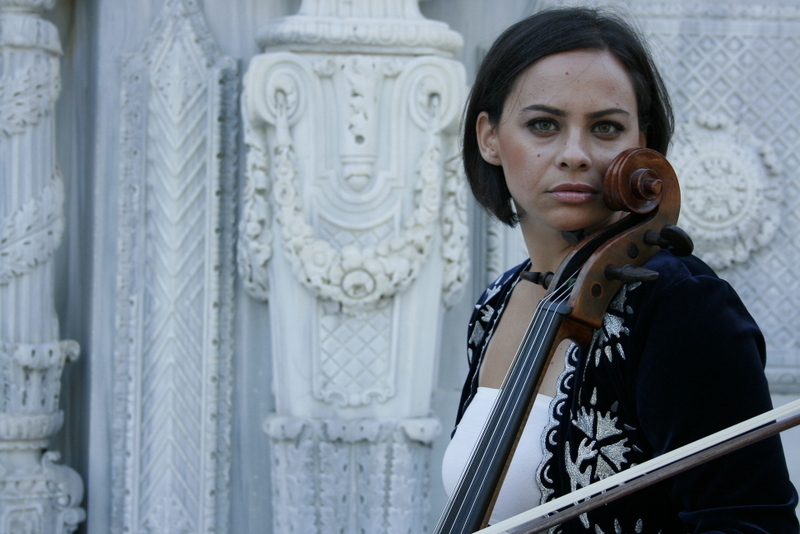 Following her studies, she taught there as a professor of cello for four years. 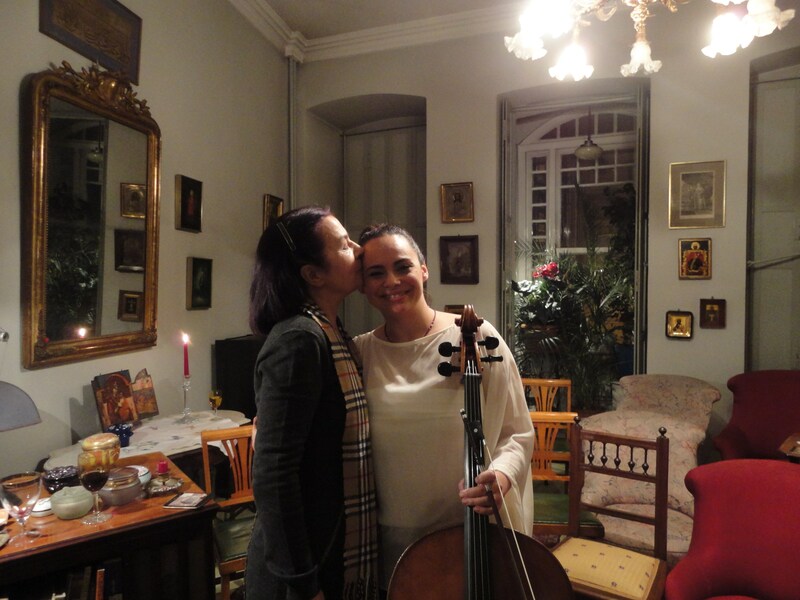 She attended masterclasses with the renowned Russian cellist and Naxos artist Alexander Rudin in Istanbul and world famous French pedagogue and cellist Philippe Müller in Ankara. 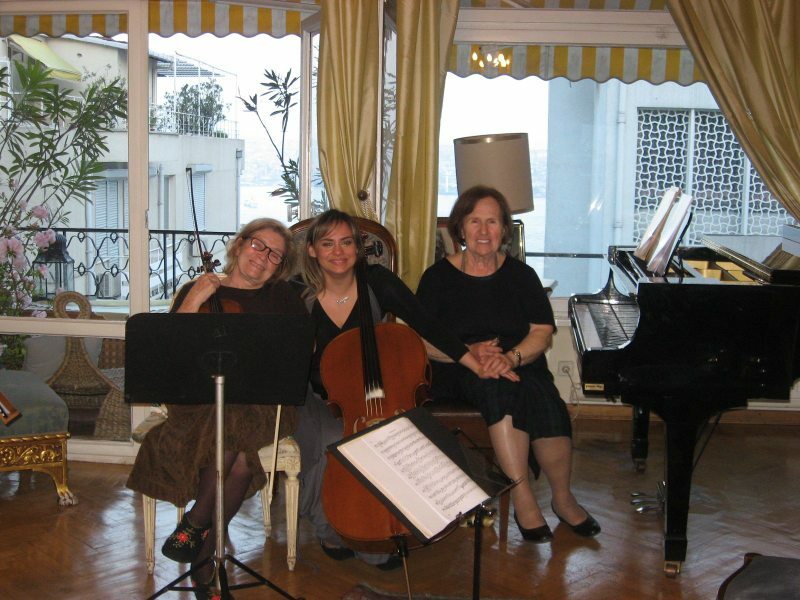 Upon an invitation by Prof. Müller to be a student at Paris Conservatory, she continued her studies privately both with him and Franz Helmerssohn in France. 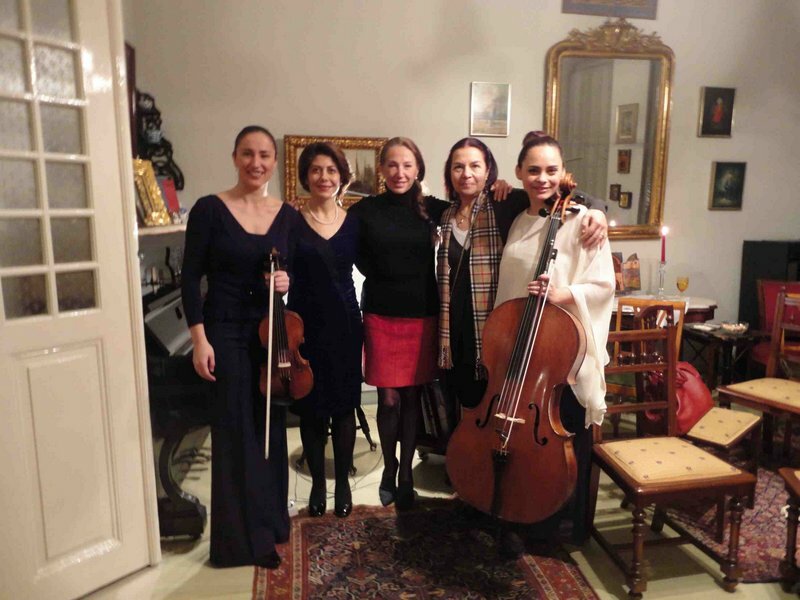 She got special instruction on string quartet from Pierro Farulli and Andre Nannoni at Accademia Musicale Chigiana in Italy. 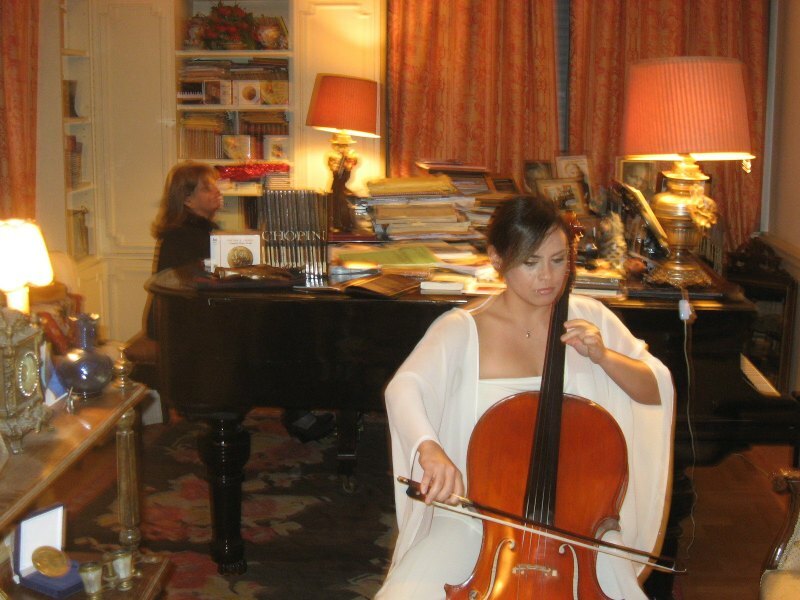 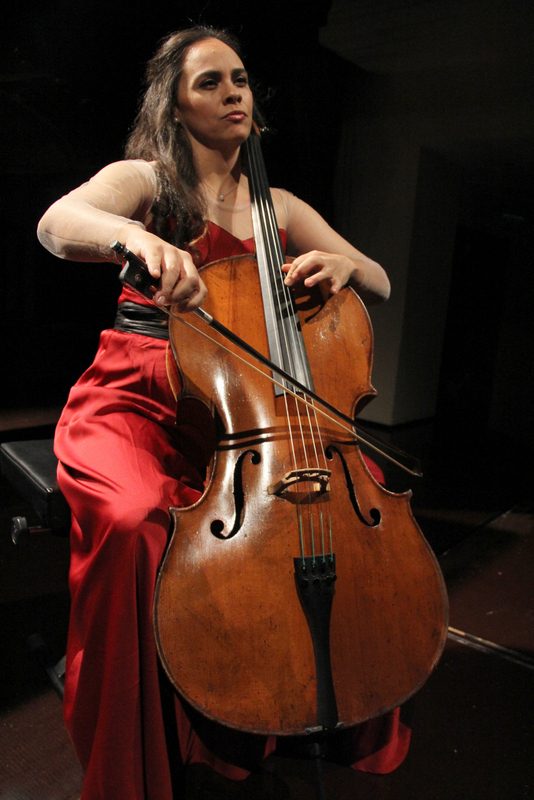 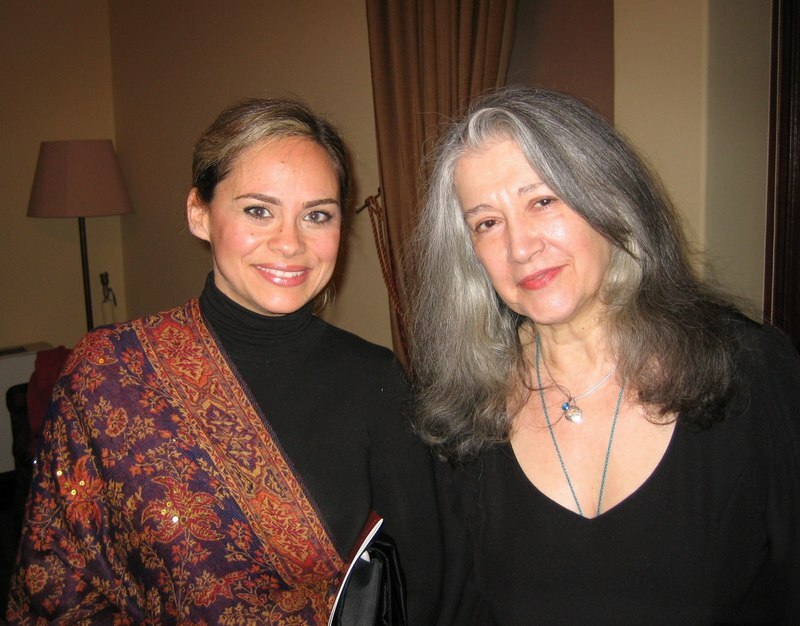 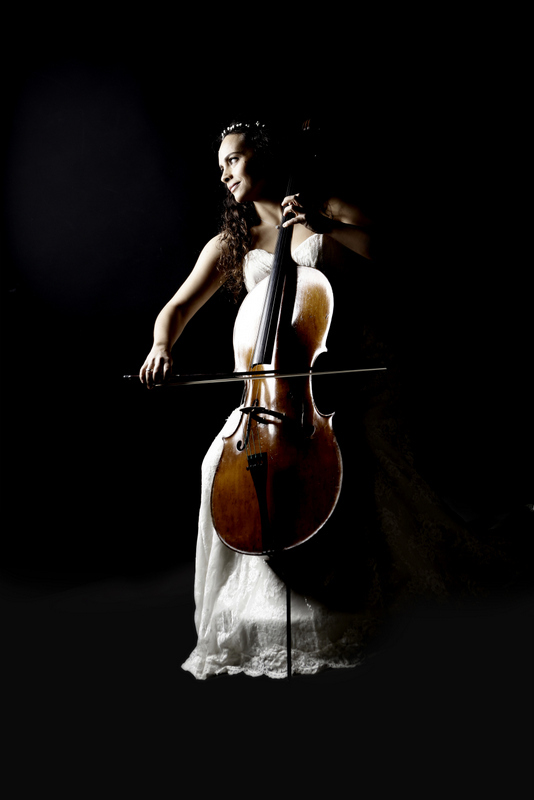 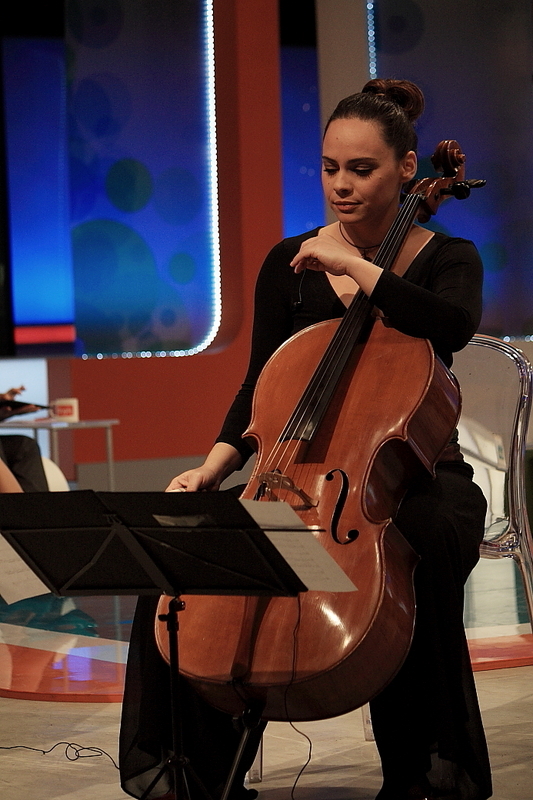 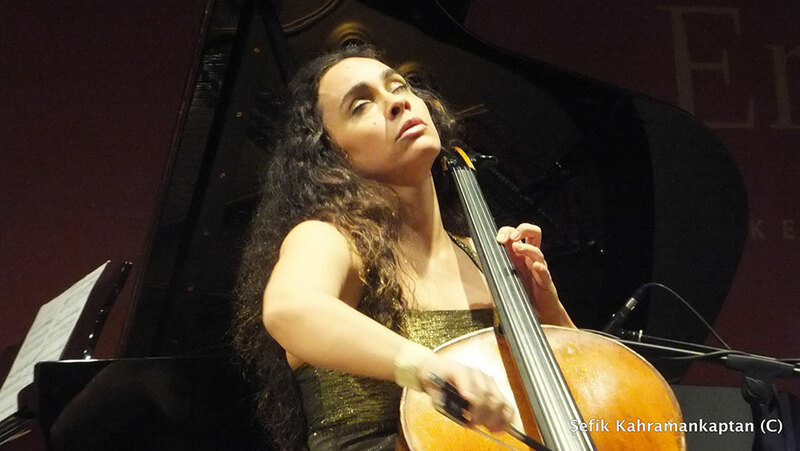 In 1998, she won the second prize at International Cello Competition held in Ankara, Turkey. 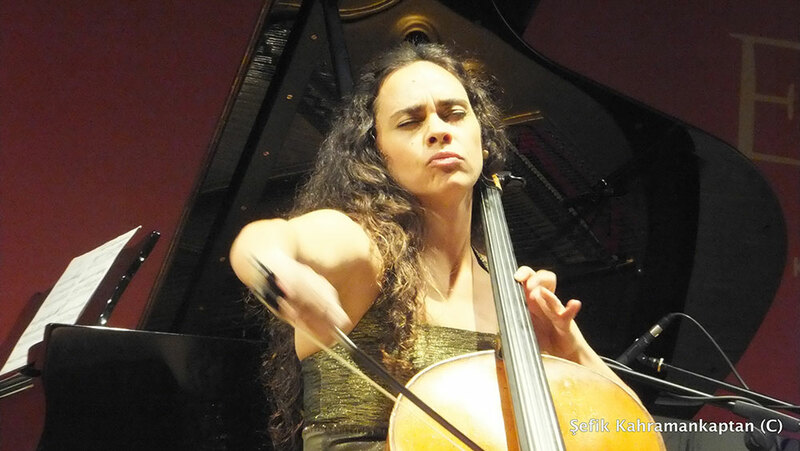 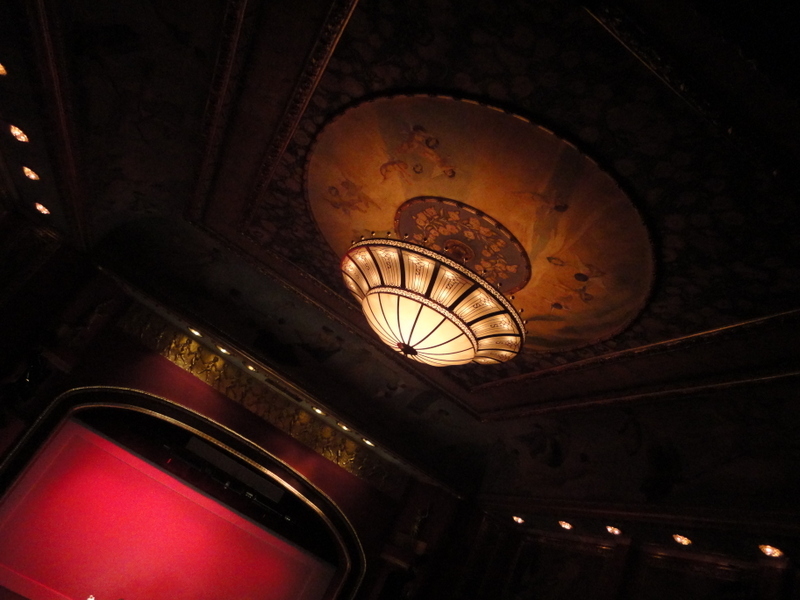 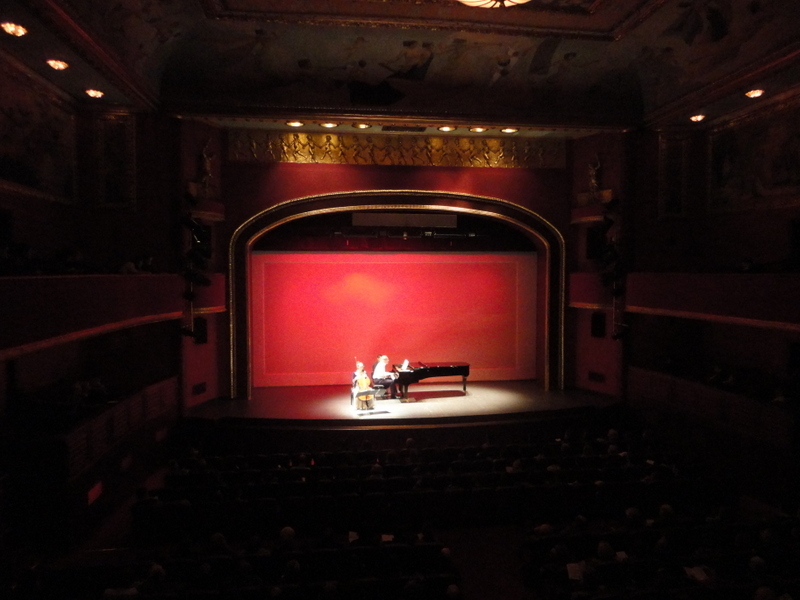 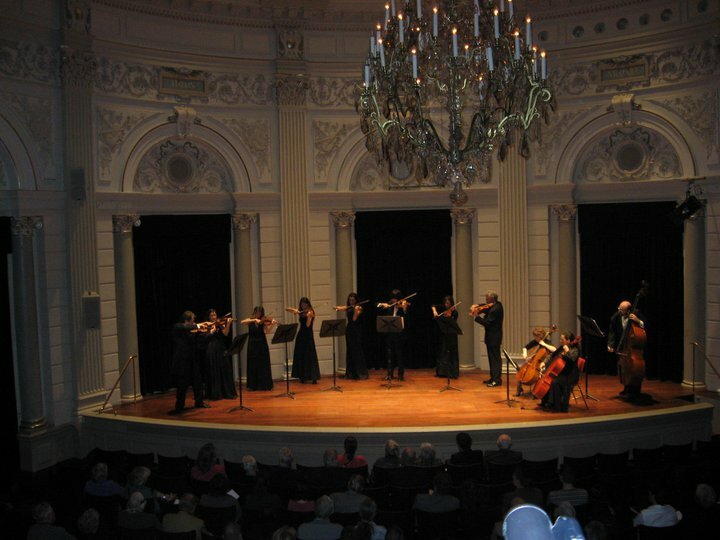 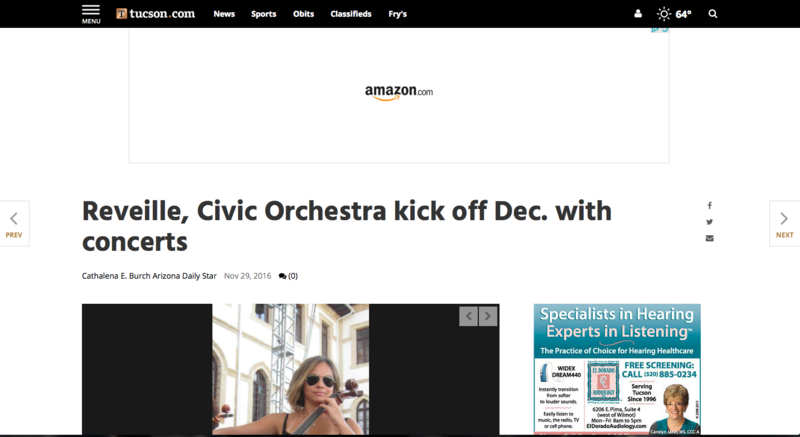 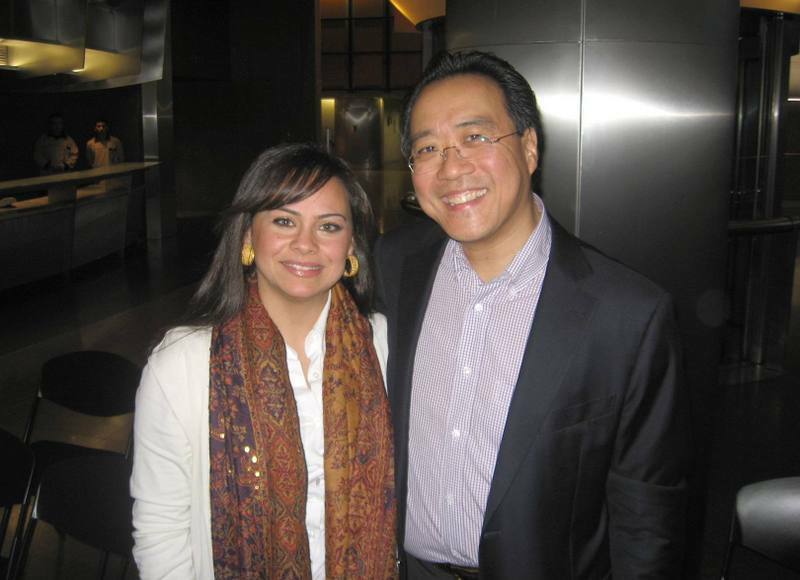 She has appeared at several international classical music festivals as a soloist, as well as a chamber musician. 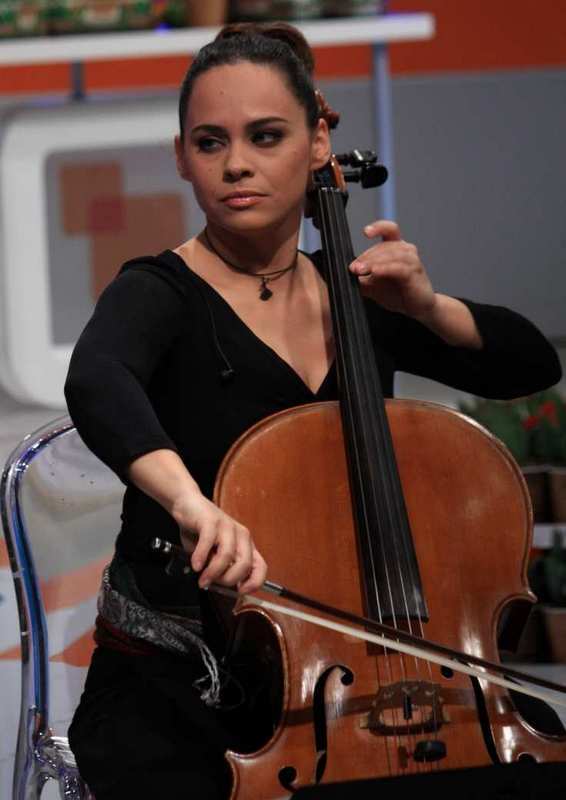 She has performed in many countries outside of her homeland, including the USA, Germany, Holland, France, Italy, Greece, Armenia, Hungary, Portugal, Bosnia Herzogovina, Azerbaijan and Russia. 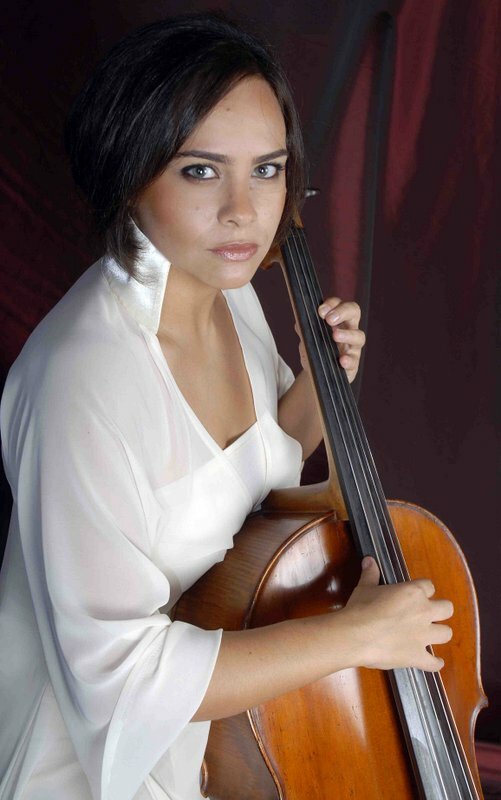 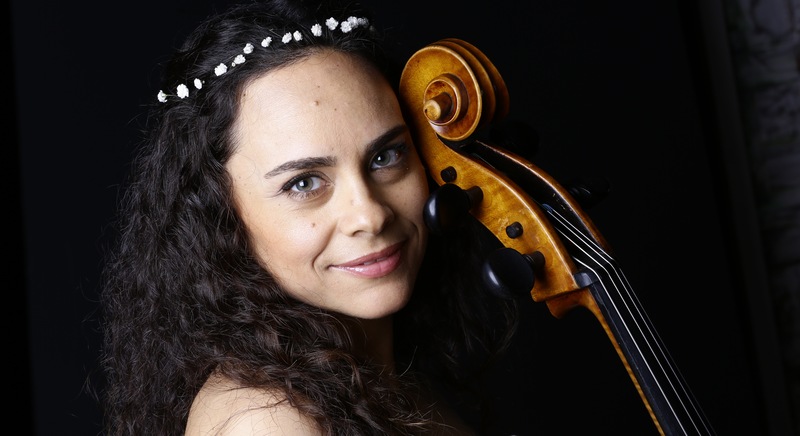 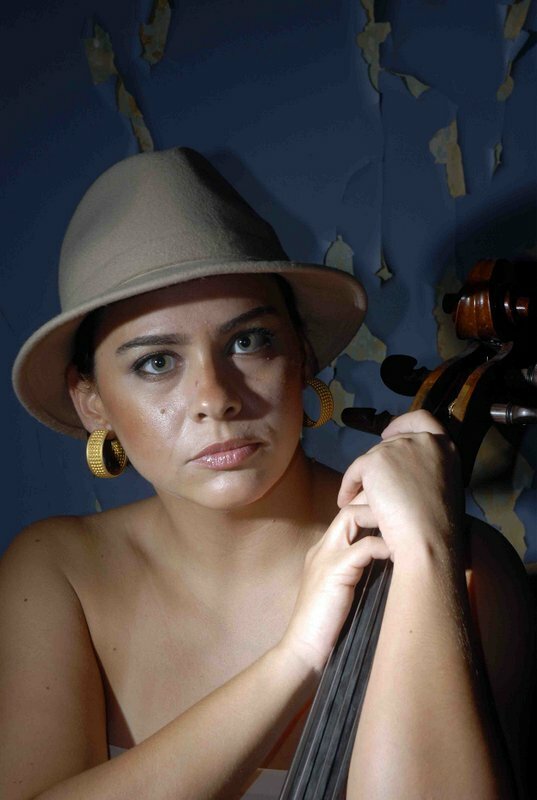 Rahşan Apay-Durdağ served as the principle cellist for the Cemal Reşit Rey Symphony Orchestra, one of the top orchestras of Turkey from 1998-2015 and as the principle cellist for Aşkın Ensemble, founded by the renowned Turkish violinist Cihat Aşkın. 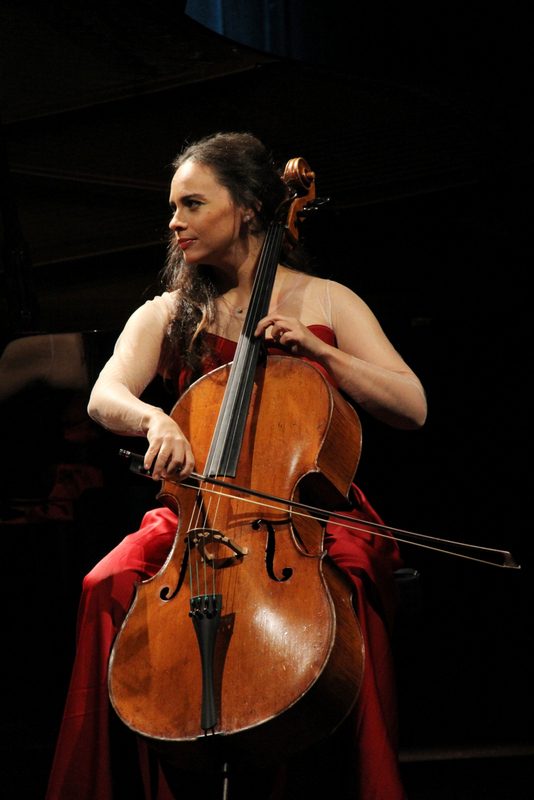 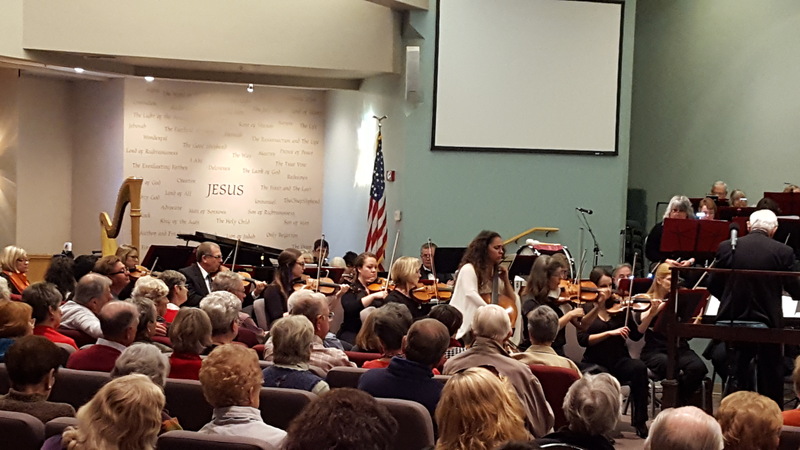 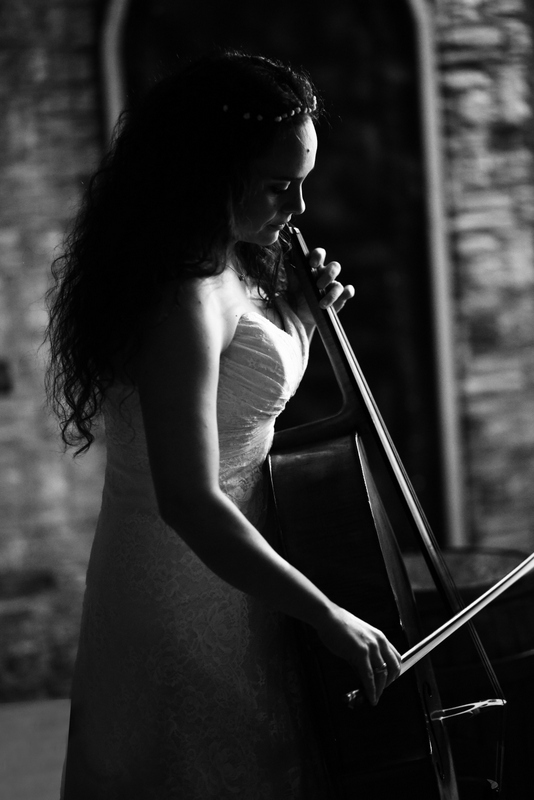 Currently, she pursues her solo career as a cellist giving many national and international recitals, as well as orchestral concerts while performing on a German cello by Paulus & Krause dating from 1900. 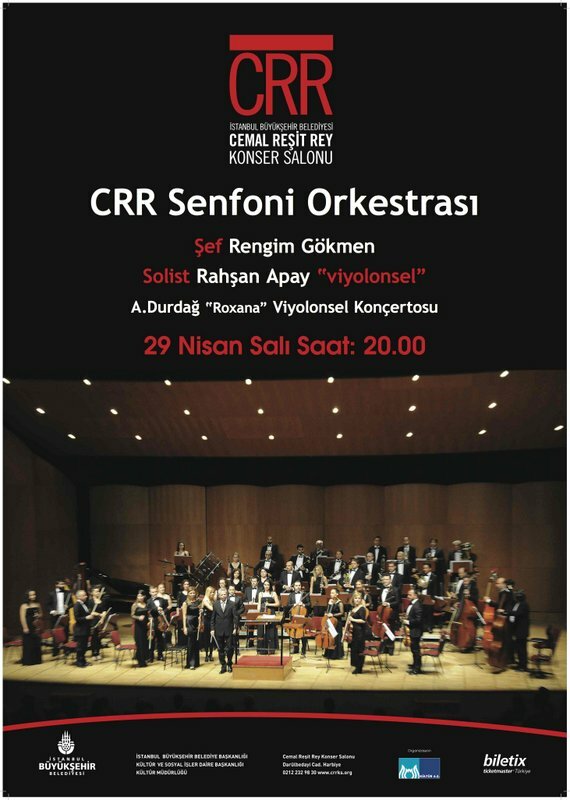 Rahşan Apay Offical Web Site.